One of the most time-consuming tasks you can complete in Super Smash Bros. Ultimate is collecting every one of the game’s more than 1,300 Spirits. Collecting every single one is a bit easier with the help of a complete list, so I’ve created one. Now, at one point I considered separating this list into 13 articles, each with approximately 100 Spirits, but I decided against it. The value of this list is that it’s searchable. Hit CTRL + F and type in “Assist Killer,” for example, and you’ll quickly be able to locate all of the Spirits with the “Assist Killer” skill (there are three of those in the game). Am I insane for doing this? Probably. It was a ton of work. But I hope it’s a valuable resource for my fellow Spirit hunters. The drive to create this was largely due to my frustration that such a list didn’t already exist. So anyway, there are four kinds of Spirits you’ll find in Super Smash Bros. Ultimate: Primary Spirits, Support Spirits, Fighter Spirits, and Master Spirits. Before I get to the list, I’m going to quickly explain each of these. Primary Spirits – These are Spirits that can be attached to your character or an amiibo FP to grant you stat boosts, skills, and slots for additional skills. A Primary Spirit can have three slots at most, while some have one or two, and a few have none. Typically, a Primary Spirit with less than three slots compensates for the slot loss with additional stats or a rare skill, though this isn’t always the case. There are three types of Primary Spirit: Attack, Shield, Grab, and Balanced. The three main types are arranged in a rock-scissors-paper fashion, where Attack beats Grab, Grab beats Shield, and Shield beats Attack, with the Balanced type existing outside this hierarchy. There are also four tiers of Primary Spirit: Novice (One-Star), Advanced (Two-Star), Ace (Three-Star), and Legend (Four-Star). Support Spirits – Support Spirits can be slotted in your Primary Spirits or in the skill slots on an amiibo FP. They grant stat changes (not always boosts) and skills. Support Spirits don’t have types, but they have the same four tiers as Primary Spirits: Novice (One-Star), Advanced (Two-Star), Ace (Three-Star), and Legend (Four-Star). Fighter Spirits – Fighter Spirits are pretty much just collectables. You can get these by winning a round of Classic Mode or by purchasing them in the Shop in the Vault menu (they typically cost 300 Gold Coins each, but you’ll often find them on sale). Master Spirits – Master Spirits are only found in the World of Light campaign, and each one grants you access to an activity or shop. You can access these activities and shops from inside World of Light, but you can also access them from the Spirit menu if you click into the Collection option. Alright, so let’s get to that list! Super Smash Bros. Ultimate launched on December 7, 2018, and it had 1,297 Spirits right out of the box. 1 – Mario – This is a Fighter Spirit. 2 – Builder Mario – This is a Fighter Spirit. 3 – Mario (Wedding) – This is a Fighter Spirit. 4 – Luigi – This is a Fighter Spirit. 5 – Peach – This is a Fighter Spirit. 6 – Daisy – This is a Fighter Spirit. 7 – Bowser – This is a Fighter Spirit. 8 – Dr. Mario – This is a Fighter Spirit. 9 – Rosalina – This is a Fighter Spirit. 10 – Bowser Jr. – This is a Fighter Spirit. 11 – Iggy – This is a Fighter Spirit. 12 – Wendy – This is a Fighter Spirit. 13 – Lemmy – This is a Fighter Spirit. 14 – Roy (Super Mario Bros.) – This is a Fighter Spirit. 15 – Larry – This is a Fighter Spirit. 16 – Ludwig – This is a Fighter Spirit. 17. Morton – This is a Fighter Spirit. 18. Super Mushroom – This is an Advanced Support Spirit with the “Stats ↑ after Eating” skill. Takes up one slot. 19. Fire Flower – This is a Novice Support Spirit with the “Fire Flower Equipped” skill. It takes up one slot. 20. Super Star – This is an Ace Support Spirit with the “First-Strike Advantage” skill. It takes up two slots. 21. Metal Mario – This is an Ace Primary Spirit (Shield Type) with one slot and the “Weight ↑” skill. 22 – Boo Mario – This is a Novice Support Spirit with the “Lightweight” skill. Takes up one slot. 23 – Rock Mario – This is an Advanced Support Spirit with the “Physical Attack ↑” skill. It takes up one slot. 24 – Gold Mario – This is a Legend Support Spirit with the “Super Armor” skill. It takes up three slots. This Spirit can be Summoned (see my full list of Summonable Spirits). 25 – Fox Luigi – This is an Ace Support Spirit with the “Easier Dodging” skill. It takes up one slot. 26 – Flying Squirrel Toad – This is an Advanced Support Spirit with the “Toss & Meteor” skill. It takes up one slot. 27 – Baby Peach – This is an Advanced Support Spirit with the “Air Defense ↑” skill. It takes up one slot. 28 – Cat Princess Peach – This is an Ace Primary Spirit (Shield Type) with three slots and the “Weight ↓” skill. This Spirit can be Summoned (see my full list of Summonable Spirits). 29 – Peach (Wedding) – This is an Ace Support Spirit with the “Critical-Health Healing” skill. It takes up two slots. 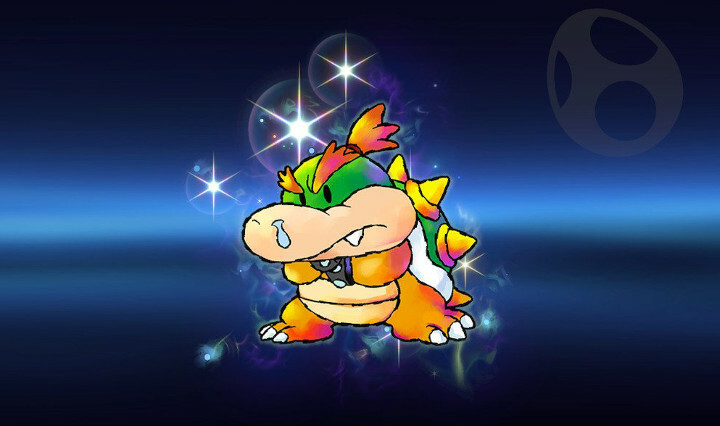 30 – Bowser (Wedding) – This is an Ace Primary Spirit (Grab Type) with two slots and no skills. 31 – Toad – This is an Advanced Primary Spirit (Grab Type) with three slots. It can be Enhanced at level 99 to become Captain Toad (see my full list of Enhanceable Spirits). 32 – Captain Toad – This is an Ace Primary Spirit (Grab Type) with three slots and the “Item Gravitation” skill. Enhanced from Toad (see my full list of Enhanceable Spirits). 33 – Toadette – This is a Master Spirit. Toadette unlocks the Ruins, which your Spirits can explore. 34 – Toadsworth – This is a Novice Support Spirit with the “Ramblin’ Evil Mushroom Equipped” skill. It takes up one slot. 35 – Waluigi – This is an Ace Primary Spirit (Balanced Type) with three slots and the “Foot Attack ↑” skill. 36 – Goomba – This is a Novice Primary Spirit (Balanced Type) with two slots and the “Foot Attack ↑” skill. 37 – Koopa Troopa – This is a Novice Support Spirit with the “Green Shell Equipped” skill. It takes up one slot. 38 – Hammer Bro – This is an Advanced Primary Spirit (Grab Type) with one slot and the “Jump ↑” skill. 39 – Lakitu & Spiny – This is an Advanced Primary Spirit (Grab Type) with three slots and the “Weight ↓” skill. 40 – Blooper – This is a Novice Primary Spirit (Shield Type) with one slot and the “Weight ↓” skill. 41 – Bullet Bill – This is a Novice Primary Spirit (Attack Type) with one slot. It can be Enhanced at level 99 to become Banzai Bill (see my full list of Enhanceable Spirits). 42 – Banzai Bill – This is an Advanced Primary Spirit (Attack Type) with one slot and the “Impact Run” skill. 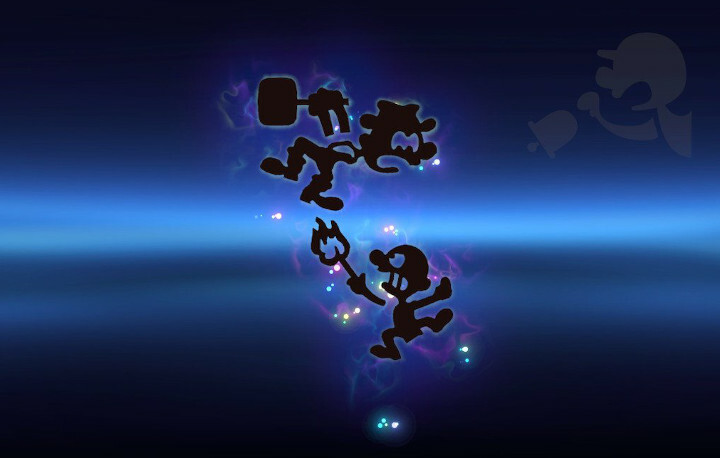 Enhanced from Bullet Bill (see my full list of Enhanceable Spirits). 43 – Shy Guy – This is a Novice Primary Spirit (Balanced Type) with two slots and the “Fist Attack ↑” skill. 44 – Pidgit – This is an Ace Support Spirit with the Air Attack ↑” skill. It takes up one slot. 45 – Birdo – This is an Ace Primary Spirit (Grab Type) with two slots and no skills. This Spirit can be Summoned (see my full list of Summonable Spirits). 46 – Mouser – This is a Novice Primary Spirit (Grab Type) with one slot and no skills. 47 – Wart – This is an Advanced Primary Spirit (Grab Type) with two slots and no skills. 48 – Boo – This is a Novice Primary Spirit (Balanced Type) with three slots. It can be Enhanced at level 99 to become King Boo (see my full list of Enhanceable Spirits). 49 – King Boo – This is an Advanced Primary Spirit (Balanced Type) with one slot and the “Floaty Jumps” skill. Enhanced from Boo (see my full list of Enhanceable Spirits). 50 – Bob-omb – This is an Advanced Support Spirit with the “Bob-omb Equipped” skill. It takes up one slot. 51 – Chain Chomp – This is a Novice Primary Spirit (Attack Type) with the Weight ↑” skill. 52 – Thwomp – This is an Advanced Support Spirit with the “Weapon Resist ↑” skill. It takes up two slots. This Spirit can be Summoned (see my full list of Summonable Spirits). 53 – Nipper Plant – This is a Novice Primary Spirit (Grab Type) with two slots. It can be Enhanced at level 99 to become Petey Piranha (see my full list of Enhanceable Spirits). 54 – Petey Piranha – This is an Ace Primary Spirit (Grab Type) with two slots and the “Giant” skill. Enhanced from Nipper Plant (see my full list of Enhanceable Spirits). 55 – Boom Boom – This is an Advanced Primary Spirit (Attack Type) with one slot. It can be Enhanced at level 99 to become Boom Boom & Pom Pom (see my full list of Enhanceable Spirits). 56 – Boom Boom & Pom Pom – This is an Advanced Primary Spirit (Attack Type) with one slot and the “Hyper Smash Attacks” skill. Enhanced from Boom Boom (see my full list of Enhanceable Spirits). 57 – Tatanga – This is an Advanced Primary Spirit (Shield Type) with two slots and no skills. 58 – Hothead – This is a Novice Support Spirit with the “Hothead Equipped” skill. It takes up two slots. 59 – Chargin’ Chuck – This is a Novice Primary Spirit (Attack Type) with one slot and no skills. 60 – Wiggler – This is a Novice Support Spirit with the “Lip’s Stick Equipped” skill. It takes up one slot. 61 – Kamek – This is an Advanced Primary Spirit (Grab Type) with one slot and the “Magic Attack ↑” skill. 62 – Mechakoopa – This is an Advanced Support Spirit with the “Lava-Floor Resist” skill. It takes up one slot. 63 – Dry Bowser – This is a Legend Primary Spirit (Shield Type) with one slot and the “Fire Attack ↑” skill. 64 – Nabbit -This is an Advanced Support Spirit with the “Item Gravitation” skill. It takes up one slot. This Spirit can be Summoned (see my full list of Summonable Spirits). 65 – Big Urchin – This is an Advanced Primary Spirit (Shield Type) with one slot and the “Electric Weakness” skill. 66 – King Bob-omb – This is an Advanced Primary Spirit (Attack Type) with one slot and the “Throw Power ↑” skill. This Spirit can be Summoned (see my full list of Summonable Spirits). 67 – Shine Sprite – This is a Legend Support Spirit with the “Special Move Power ↑” skill. It takes up one slot. 68 – F.L.U.D.D. – This is an Advanced Support Spirit with the “Sticky-Floor Immunity” skill. It takes up two slots. 69 – Piantas – This is a Novice Support Spirit with the “Banana Gun Equipped” skill. It takes up one slot. 70 – 70 – Shadow Mario – This is an Ace Primary Spirit (Balanced Type) with three slots and no skills. This Spirit can be Summoned (see my full list of Summonable Spirits). 71 – Luma – This is an Advanced Support Spirit with the “Super Launch Star Equipped” skill. It takes up one slot. 72 – Hungry Luma – This is a Novice Support Spirit with the “Transformation Duration ↑” skill. It takes up one slot. 73 – Honey Queen – This is a Master Spirit. Honey Queen unlocks the Dojo where your Spirits can learn Big-Bee Style. 74 – Lubba – This is an Advanced Spirit with the “Irreversible Controls” skill. It takes up two slots. 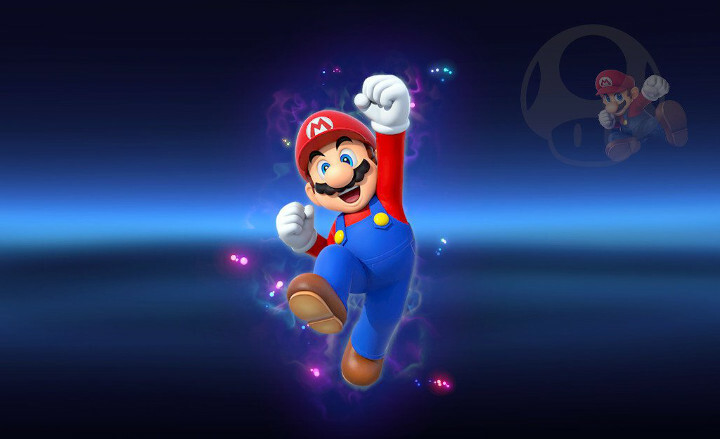 75 – Starship Mario – This is an advanced Support Spirit with the “Jump ↑” skill. It takes up one slot. 76 – Sprixie Princesses – This is an Advanced Support Spirit with the “Fairy Bottle Equipped” skill. It takes up one slot. This Spirit can be Summoned (see my full list of Summonable Spirits). 77 – Plessie – This is a Novice Support Spirit with the “Swimmer” skill. It takes up one slot. 78 – Cappy – This is an Advanced Support Skill with the “Strong Throw” skill. It takes up one slot. This Spirit can be Summoned (see my full list of Summonable Spirits). 79 – Pauline – This is a Legend Support Spirit with the “Healing Shield” skill. It takes up two slots. This Spirit can be difficult to obtain, so here’s a full guide. 80 – The Odyssey – This is an Advanced Support Spirit with the “Strong-Wind Resist” skill. It takes up one slot. 81 – Goo-Goo Buggy – This is an Advanced Primary Spirit (Attack Type) with two slots and the “Weight ↓” skill. 82 – Barrel Train – This is an Advanced Support Spirit with the “Dash Attack ↑” skill. It takes up one slot. 83 – Bloom Coach – This is a Novice Support Spirit with the “Fire Bar Equipped” skill. It takes up one slot. 84 – Turbo Yoshi – This is an Advanced Support Spirit with the “Thrown Items ↑” skill. It takes up one slot. 85 – B Dasher – This is an Ace Spirit with the “Neutral Special ↑” skill. It takes up one slot. 86 – Standard Kart – This is a Novice Support Spirit with the “Boomerang Equipped” skill. It takes up one slot. 87 – Standard Bike – This is a Novice Support Spirit with the “Undamaged Speed ↑” skill. It takes up one slot. 88 – Cheep Charger – This is a Novice Primary Spirit (Grab Type) with one slot and the “Speed ↑” skill. 89 – Mach 8 – This is an Advanced Support Spirit with the “Screen-Flip Immunity” skill. It takes up two slots. 90 – Biddybuggy – This is an Advanced Primary Spirit (Grab Type) with one slot and the “Weight ↓” skill. 91 – Badwagon – This is an Ace Primary Spirit (Shield Type) with two slots and the “Speed ↑” skill. 92 – City Tripper – This is an Ace Support Spirit with the “Undamaged Attack & Speed ↑” skill. It takes up one slot. 93 – Master Cycle – This is a Legend Primary Spirit (Grab Type) with two slots and the “Speed ↑” skill. This Spirit can be Summoned (see my full list of Summonable Spirits). 94 – Paper Mario – This is an Ace Primary Spirit (Balanced Type) with three slots and the “Water Weakness” skill. This Spirit can be Summoned (see my full list of Summonable Spirits). 95 – Paper Bowser – This is an Ace Primary Spirit (Attack Type) with two slots. It can be Enhanced at level 99 to become Paper Bowser (Paper Mario: Sticker Star). (see my full list of Enhanceable Spirits). 96 – Paper Bowser (Paper Mario: Sticker Star) – This is a Legend Primary Spirit (Attack Type) with two slots and the “Mouthful of Curry” skill. Enhanced from Paper Bowser (see my full list of Enhanceable Spirits). 97 – Kammy Koopa – This is a Novice Primary Spirit (Attack Type) with one slot and the “Magic Attack ↑” skill. 98 – Vivian – This is an Advanced Primary Spirit (Shield Type) with one slot and the “Weight ↓” skill. 99 – Shadow Queen – This is an Ace Primary Spirit (Attack Type) with two slots and no skills. This Spirit can be Summoned (see my full list of Summonable Spirits). 100 – Mr. L – This is an Advanced Primary Spirit (Attack Type) with two slots and the “Water Weakness” skill. 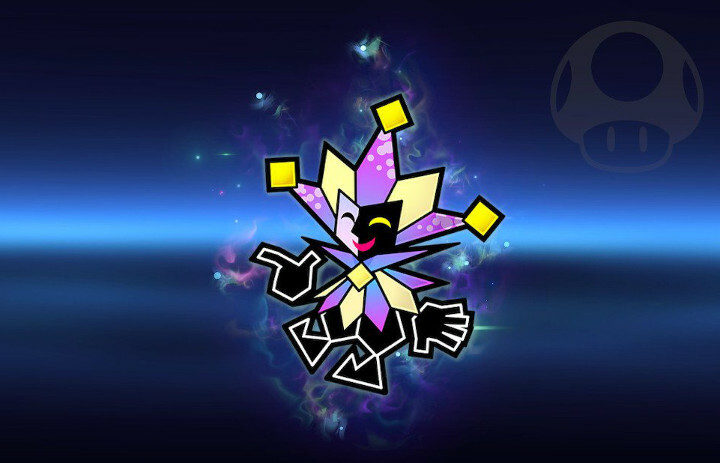 101 – Dimentio – This is an Advanced Primary Spirit (Grab Type) with three slots and the “Weight ↓” skill. 102 – Huey – This is a Novice Support Spirit with the “Water/Freezing Resist ↑” skill. It takes up one slot. 103 – Mallow – This is an Advanced Support Spirit with the “Trade-Off Attacks ↑” skill. It takes up one slot. This Spirit can be Summoned (see my full list of Summonable Spirits). 104 – Geno – This is a Legend Primary Spirit (Attack Type) with three slots and no skills. This Spirit can be Summoned (see my full list of Summonable Spirits). 105 – Prince Peasley – This is a Novice Primary Spirit (Shield Type) with one slot and no skills. 106 – Fawful – This is an Advanced Primary Spirit (Balanced Type) with three slots and the “Electric Attack ↑” skill. 107 – Princess Shroob – This is an Advanced Primary Spirit (Balanced Type) with three slots and no skills. 108 – Starlow – This is an Advanced Support Spirit with the “Undamaged Attack ↑” skill. It takes up one slot. 109 – Broque Monsieur – This is a Novice Primary Spirit (Shield Type) with one slot and no skills. 110 – Dreambert – This is a Novice Primary Spirit (Shield Type) with two slots and no skills. 111 – Antasma – This is an Advanced Support Spirit with the “Death’s Scythe Equipped” skill. It takes up one slot. 112 – Papercraft Mario – This is a Novice Primary Spirit (Attack Type) with three slots and the “Fire Weakness” skill. 113 – Sidestepper – This is a Novice Support Spirit with the “Trade-Off Speed ↑” skill. It takes up one slot. 114 – Freezie – This is a Novice Support Spirit with the “Freezie Equipped” Skill. It takes up one slot. 115 – Eggplant Man – This is a Novice Primary Spirit (Shield Type) with one slot and no skills. 116 – Viruses – This is an Advanced Support Spirit with the “Poison Damage Reduced” skill. It takes up one slot. 117 – Flies & Hand – This is an Advanced Support Spirit with the “Battering Items ↑” skill. It takes up one slot. 118 – Wanda – This is a Novice Support Spirit with the “Magic Attack ↑” skill. It takes up one slot. 119 – Kid – This is a Novice Support Spirit with the “Stamina ↑” skill. It takes up one slot. 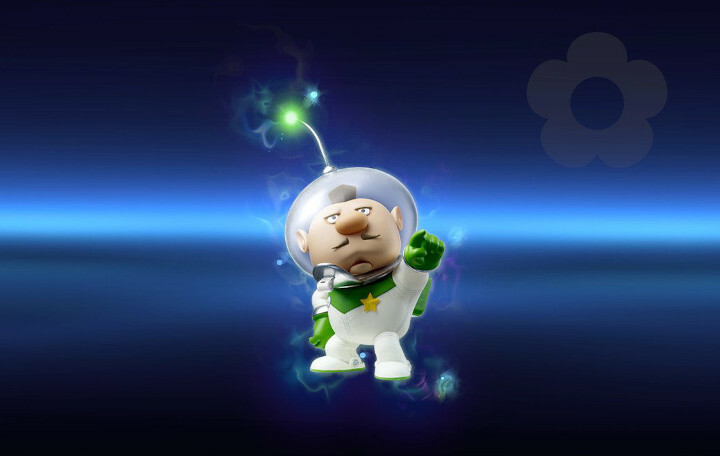 120 – Professor Elvin Gadd – This is an Advanced Support Spirit with the “Energy Shot Attack/Resistance ↑” skill. It takes up two slots. This Spirit can be Summoned (see my full list of Summonable Spirits). 121 – Poltergust 5000 – This is an Advanced Support Spirit with the “Fog Immunity” skill. It takes up two slots. 122 – Polterpup – This is an Advanced Support Spirit with the “Bury Immunity” skill. It takes up one slot. 123 – Perry – This is a Novice Support Spirit with the “Floaty Jumps” skill. It takes up one slot. 124 – Waluigi (Super Mario Strikers) – This is an Advanced Primary Spirit (Grab Type) with one slot and the “Foot Attack ↑” skill. 125 – Petey Piranha (Super Mario Strikers) – This is an Advanced Primary Spirit (Grab Type) with one slot and no skills. 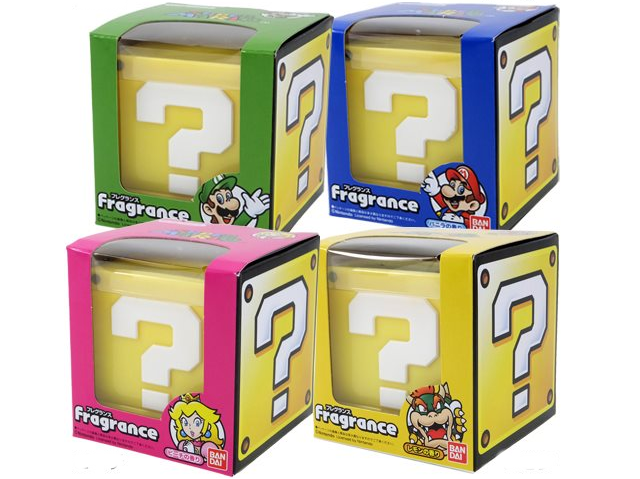 126 – Mini Mario – This is an Advanced Primary Spirit (Balanced Type) with three slots. It can be Enhanced at level 99 to become Mini Mario & Hammers (see my full list of Enhanceable Spirits). 127 – Mini Mario & Hammers – This is an Ace Primary Spirit (Balanced Type) with three slots and the “Hammer Duration ↑” skill. Enhanced from Mini Mario (see my full list of Enhanceable Spirits). 128 – MC Ballyhoo & Big Top – This is a Novice Support Spirit with the “Star Rod Equipped” skill. It takes up one slot. 129 – Rabbid Peach – This is an Advanced Primary Spirit (Shield Type) with one slot and the “Jump ↑” skill. 130 – Rabbid Mario – This is an Advanced Primary Spirit (Attack Type) with one slot and the “Jump ↑” skill. 131 – Rabbid Kong – This is a Novice Primary Spirit (Attack Type) with one slot and the “Weight ↑” skill. 132 – Mario (Mario Tennis Aces) – This is an Ace Support Spirit with the “Critical Hit ↑” skill. It takes up one slot. 133 – Luigi (Mario Tennis Aces) – This is an Advanced Support Spirit with the “Weapon Attack ↑” skill. It takes up one slot. 134 – Donkey Kong – This is a Fighter Spirit. 135 – Diddy Kong – This is a Fighter Spirit. 136 – King K. Rool – This is a Fighter Spirit. 137 – Donkey Kong & Lady – This is a Legend Primary Spirit (Grab Type) with three slots and the “Throw Power ↑” skill. 138 – Donkey Kong Jr. – This is an Ace Primary Spirit (Grab Type) with one slot and the “Throw Power ↑” skill. 139 – Stanley – This is an Advanced Primary Spirit (Shield Type) with two slots and no skills. 140 – Cranky Kong – This is an Ace Primary Spirit (Attack Type) with three slots and the Speed ↓” skill. This Spirit can be Summoned (see my full list of Summonable Spirits). 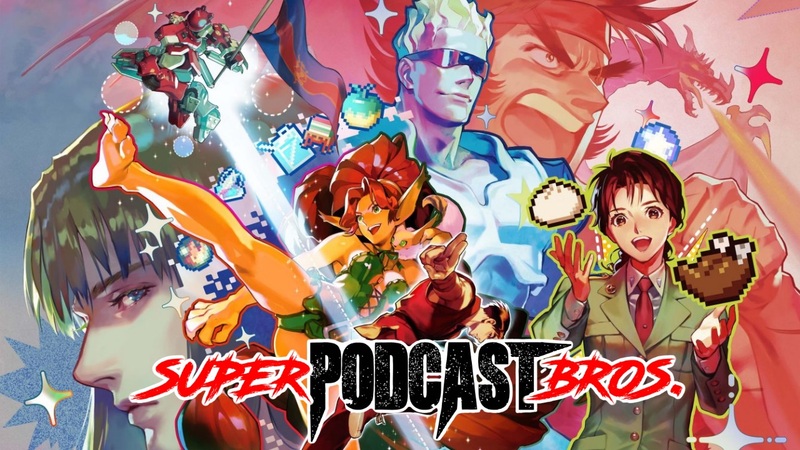 141 – Funky Kong – This is a Master Spirit. Funky Kong unlocks Funky Kong’s Shack, which is a shop. 142 – Candy Kong – This is an Advanced Support Spirit with the “Critical-Health Stats ↑” skill. It takes up one slot. 143 – Swanky Kong – This is a Novice Support Spirit with the “Banana Gun Equipped” skill. It takes up one slot. 144 – Wrinkly Kong – This is an Advanced Support Spirit with the “Trade-Off Defense ↑” skill. It takes up one slot. 145 – Dixie Kong – This is an Ace Primary Spirit (Grab Type) with three slots. This Spirit can be Summoned (see my full list of Summonable Spirits). It can be Enhanced at level 99 to become Dixie Kong & Kiddy Kong (see my full list of Enhanceable Spirits). 146 – Dixie Kong & Kiddy Kong – This is a Legend Primary Spirit (Attack Type) with three slots and the “Thrown Items ↑” skill. Enhanced from Dixie Kong (see my full list of Enhanceable Spirits). 147 – Lanky Kong – This is an Advanced Primary Spirit (Grab Type) with three slots and no skills. 148 – Tiny Kong – This is an Ace Support Spirit with the “Easier Dodging” skill. It takes up one slot. 149 – Chunky Kong – This is an Advanced Primary Spirit (Attack Type) with two slots and no skills. 150 – Rambi – This is an Ace Primary Spirit with one slot and the “Speed ↑” skill. 151 – Enguarde – This is an Advanced Primary Spirit (Attack Type) with one slot and the “Electric Weakness” skill. 152 – Squawks – This is an Advanced Support Spirit with the “Fog Immunity” skill. It takes up two slots. 153 – Expresso – This is a Novice Support Spirit with the “Trade-Off Defense ↑” skill. It takes up one slot. 154 – Winky – This is a Novice Support Spirit with the “Foot Attack ↑” skill. It takes up one slot. 155 – Squitter – This is an Advanced Support Spirit with the “Sticky-Floor Immunity” skill. It takes up two slots. 156 – Rattly – This is an Advanced Support Spirit with the “Jump ↑” skill. It takes up one slot. 157 – Ellie – This is a Novice Support Spirit with the “Water & Ice Attack ↑” skill. It takes up one slot. 158 – Professor Chops – This is a Novice Support Spirit with the “Stamina ↑” skill. It takes up one slot. 159 – Kritter – This is a Novice Primary Spirit (Grab Type) with one slot and no skills. 160 – Zinger – This is a Novice Primary Spirit (Shield Type) with no slots and no skills. 161 – Klaptrap – This is an Advanced Primary Spirit (Attack Type) with no slots and the “Weight ↓” skill. 162 – Kaptain K. Rool – This is a Legend Primary Spirit (Attack Type) with two slots and no skills. 163 – Baron K. Roolenstein – This is an Ace Primary Spirit with three slots and no skills. This Spirit can be Summoned (see my full list of Summonable Spirits). 164 – Blast-o-Matic – This is a Legend Support Spirit with the “Giant Killer” skill. It takes up one slot. 165 – Tiki Tak Tribe – This is a Novice Primary Spirit (Balanced Type) with three slots and the “Fire Weakness” skill. 166 – Lord Fredrik – This is a Novice Primary Spirit (Grab Type) with one slot and the “Weight ↑” skill. 167 – Kip – This is a Novice Primary Spirit (Shield Type) with one slot and the “Jump ↑” skill. 168 – Kalypso – This is a Novice Support Spirit with the “Rocket Belt Equipped” skill. It takes up one slot. 169 – Donkey Kong & Bongos – This is an Advanced Support Spirit with the “Perfect-Shield Reflect” skill. It takes up one slot. 170 – Karate Kong – This is an Ace Primary Spirit (Attack Type) with one slot and the “Fist Attack ↑” skill. 171 – Ninja Kong – This is a Novice Primary Spirit with one slot and no skills. 172 – Link – This is a Fighter Spirit. 173 – Zelda – This is a Fighter Spirit. 174 – Sheik – This is a Fighter Spirit. 175 – Ganondorf – This is a Fighter Spirit. 176 – Young Link – This is a Fighter Spirit. 177 – Toon Link – This is a Fighter Spirit. 178 – Link (The Legend of Zelda) – This is a Legend Primary Spirit (Balanced Type) with three slots and the “Sword Attack ↑” skill. 179 – Octorok – This is a Novice Primary Spirit (Grab Type) with one slot and the “Fire Weakness” skill. 180 – Moblin – This is a Novice Primary Spirit (Balanced Type) with two slots and no skills. 181 – Tektite – This is a Novice Primary Spirit (Shield Type) with one slot and the “Jump ↑” skill. 182 – Like Like – This is an Advanced Support Spirit with the “Sticky-Floor Immunity” skill. It takes up two slots. 183 – Darknut – This is an Advanced Primary Spirit (Shield Type) with one slot and the “Sword Attack ↑” skill. 184 – Fairy Bottle – This is an Advanced Support Spirit with the “Fairy Bottle Equipped” skill. It takes up one slot. 185 – Agahnim – This is an Advanced Primary Spirit (Shield Type) with one slot and the “Magic Attack ↑” skill. 186 – Cucco – This is a Novice Support Spirit with the “Floaty Jumps” skill. It takes up one slot. 187 – Marin – This is an Advanced Support Spirit with the “Irreversible Controls” skill. It takes up two slots. 188 – Wind Fish – This is a Legend Support Spirit with the “Special-Move Power ↑” skill. It takes up one slot. 189 – Young Zelda – This is an Advanced Primary Spirit (Shield Type) with two slots. It can be Enhanced at level 99 to become Zelda (Ocarina of Time) (see my full list of Enhanceable Spirits). 190 – Zelda (Ocarina of Time) – This is a Legend Primary Spirit (Shield Type) with two slots and the “Assist Killer” skill. Enhanced from Young Zelda (see my full list of Enhanceable Spirits). 191 – Ganon – This is an Ace Primary Spirit (Balanced Type) with two slots and the “Weight ↑” skill. 192 – Saria – This is an Ace Support Spirit with the “Easier Perfect Shield” skill. It takes up one slot. 193 – Impa – This is an Ace Primary Spirit (Shield Type) with three slots and no skills. 194 – Kaepora Gaebora – This is an Advanced Support Spirit with the “Fog Immunity” skill. It takes up two slots. 195 – Malon – This is a Novice Support Spirit with the “Shooting Items ↑” skill. It takes up one slot. 196 – Epona – This is an Ace Support Spirit with the “Undamaged Attack & Speed ↑” skill. It takes up one slot. This Spirit can be Summoned (see my full list of Summonable Spirits). 197 – Goron – This is a Novice Support Spirit with the “Fire/Explosion Resist ↑” skill. It takes up one slot. 198 – Darunia – This is a Master Spirit. Darunia unlocks the Dojo where your Spirits can learn Boulder Style. 199 – Zora – This is a Novice Support Spirit with the “Boomerang Equipped” skill. It takes up one slot. 200 – Ruto – This is an Ace Primary Spirit (Shield Type) with the “Water Attack ↑” skill. This Spirit can be Summoned (see my full list of Summonable Spirits). 201 – Great Fairy – This is an Ace Support Spirit with the “Critical-Health Healing” skill. It takes up two slots. 202 – Koume & Kotake – This is an Advanced Primary Spirit (Balanced Type) with three slots. This Spirit can be Summoned (see my full list of Summonable Spirits). It can be Enhanced at level 99 to become Twinrova (see my full list of Enhanceable Spirits). 203 – Twinrova – This is an Ace Primary Spirit (Balanced Type) with three slots and the “Magic Attack ↑” skill. Enhanced from Koume & Kotake (see my full list of Enhanceable Spirits). 204 – ReDead – This is a Novice Primary Spirit (Grab Type) with one slot and the “Jump ↓” skill. 205 – Skull Kid – This is an Advanced Primary Spirit (Grab Type) with two slots. It can be Enhanced at level 99 to become Skull Kid & Majora’s Mask (see my full list of Enhanceable Spirits). 206 – Skull Kid & Majora’s Mask – This is a Legend Primary Spirit (Grab Type) with two slots and the “Lifesteal” skill. Enhanced from Skull Kid (see my full list of Enhanceable Spirits). 207 – Deku Link – This is an Advanced Primary Spirit (Grab Type) with one slot and the “Fire Weakness” skill. 208 – Fierce Deity Link – This is a Legend Primary Spirit with one slot and the “Sword Attack ↑” skill. This Spirit can be Summoned (see my full list of Summonable Spirits). 209 – Majora’s Mask – This is an Ace Support Spirit with the “Trade-Off Ability ↑” skill. It takes up one slot. 210 – Moon – This is an Ace Support Spirit with the “Giant” skill. It takes up two slots. This Spirit can be Summoned (see my full list of Summonable Spirits). 211 – Tingle – This is an Ace Support Spirit with the “Slumber Immunity” skill. It takes up one slot. This Spirit can be Summoned (see my full list of Summonable Spirits). 212 – Happy Mask Salesman – This is an Advanced Support Spirit with the “Trade-Off Attacks ↑” skill. It takes up one slot. 213 – Kafei – This is an Advanced Spirit with the “Mr. Saturn Equipped” skill. It takes up one slot. 214 – Postman – This is a Novice Support Spirit with the “Bunny Hood Equipped” skill. It takes up one slot. 215 – Din – This is an Advanced SUpport Spirit with the “Lava-Floor Resist” skill. It takes up one slot. 216 – Nayru – This is an Advanced Support Spirit with the “Perfect-Shield Reflect” skill. It takes up one slot. 217 – Ricky – This is a Novice Support Spirit with the “Fist Attack ↑” skill. It takes up one slot. 218 – Dimitri – This is a Novice Support Spirit with the “Swimmer” skill. It takes up one slot. 219 – Moosh – This is a Novice Spirit with the “Instadrop” skill. It takes up two slots. 220 – Ganondorf (Twilight Princess) – This is an Ace Primary Spirit (Attack Type) with three slots. It can be Enhanced at level 99 to become Beast Ganon (see my full list of Enhanceable Spirits). 221 – Beast Ganon – This is a Legend Primary Spirit (Attack Type) with three slots and the “Impact Run” skill. Enhanced from Ganondorf (Twilight Princess) (see my full list of Enhanceable Spirits). 222 – Midna – This is an Ace Primary Spirit (Grab Type) with three slots. It can be Enhanced at level 99 to become Wolf Link & Midna (see my full list of Enhanceable Spirits). 223 – Wolf Link & Midna – This is a Legend Primary Spirit (Grab Type) with three slots and the “Dash Attack ↑” skill. Enhanced from Midna (see my full list of Enhanceable Spirits). 224 – Zant – This is an Advanced Primary Spirit (Attack Type) with one slot and no skills. 225 – Agitha – This is a Novice Support Spirit with the “Lip’s Stick Equipped” skill. It takes up one slot. 226 – King Bulblin & Lord Bullbo – This is a Novice Primary Spirit (Attack Type) with one slot and no skills. 227 – Fi – This is an Ace Support Spirit with the “Neutral Special ↑” skill. It takes up one slot. This Spirit can be Summoned (see my full list of Summonable Spirits). 228 – Ghirahim – This is an Ace Primary Spirit (Grab Type) with two slots and no skills. 229 – The Imprisoned – This is an Advanced Primary Spirit (Shield Type) with no slots and the “Speed ↓” skill. 230 – Demise – This is an Ace Primary Spirit (Shield Type) with one slot and no skills. This Spirit can be Summoned (see my full list of Summonable Spirits). 231 – Loftwing – This is a Novice Support Spirit with the “Landing Lag ↓” skill. It takes up one slot. 232 – Groose – This is an Advanced Primary Spirit (Shield Type) with three slots and no skills. 233 – Wall-Merged Link – This is an Advanced Primary Spirit (Balanced Type) with three slots. It can be Enhanced at level 99 to become Link (A Link Between Worlds) (see my full list of Enhanceable Spirits). 234 – Link (A Link Between Worlds) – This is an Ace Primary Spirit (Balanced Type) with three slots and the “Weapon Attack ↑” skill. Enhanced from Wall-Merged Link (see my full list of Enhanceable Spirits). 235 – Ravio – This is an Advanced Support Spirit with the “Killing Edge Equipped” skill. It takes up one slot. 236 – Hilda – This is an Ace Primary Spirit (Shield Type) with three slots and no skills. 237 – Yuga – This is an Ace Primary Spirit (Shield Type) with two slots and no skills. This Spirit can be Summoned (see my full list of Summonable Spirits). 238 – Zelda (Breath of the Wild) – This is an Ace Support Spirit with the “Poison Immunity” skill. It takes up two slots. 239 – Mipha – This is an Advanced Support Spirit with the “Critical-Health Stats ↑” skill. It takes up one slot. 240 – Daruk – This is an Advanced Primary Spirit (Shield Type) with one slot and the “Weight ↑” skill. 241 – Revali – This is an Advanced Support Spirit with the “Shooting Attack ↑” skill. It takes up one slot. 242 – Urbosa – This is an Advanced Primary Spirit (Attack Type) with two slots and the “Electric Attack ↑” skill. 243 – Calamity Ganon – This is a Legend Primary Spirit (Attack Type) with one slot and no skills. 244 – Bokoblin – This is a Novice Primary Spirit (Balanced Type) with two slots and the “Battering Items Power ↑” skill. 245 – Guardian – This is an Advanced Support Spirit with the “Weapon Resist ↑” skill. It takes up two slots. 246 – Tetra – This is an Ace Primary Spirit (Shield Type) with two slots. It can be Enhanced at level 99 to become Zelda (The Wind Waker) (see my full list of Enhanceable Spirits). 247 – Zelda (The Wind Waker) – This is a Legend Primary Spirit (Shield Type) with two slots and the “Chance of Double Final Smash” skill. Enhanced from Tetra (see my full list of Enhanceable Spirits). 248 – King of Red Lions – This is an Advanced Primary Spirit (Attack Type) with three slots. It can be Enhanced at level 99 to become King of Hyrule (see my full list of Enhanceable Spirits). 249 – King of Hyrule – This is an Ace Primary Spirit (Attack Type) with three slots and the “Transformation Duration ↑” skill. Enhanced from King of Red Lions (see my full list of Enhanceable Spirits). 250 – Aryll – This is an Ace Support Spirit with the “Critical-Health Stats ↑↑” skill. It takes up two slots. 251 – Medli – This is an Ace Support Spirit with the “Strong-Wind Immunity” skill. It takes up two slots. 252 – Valoo – This is an Advanced Support Spirit with the “Falling Immunity” skill. it takes up one slot. 253 – Beedle – This is a Master Spirit. Beedle unlocks Beedle’s Tent, which is a shop. 254 – Fishman – This is a Novice Support Spirit with the “Water/Freezing Resist ↑” skill. It takes up one slot. 255 – Vaati – This is an Ace Primary SPirit (Grab Type) with two slots and no skills. 256 – Ezlo – This is an Advanced Support Spirit with the “Toss & Meteor” skill. It takes up one slot. 257 – Linebeck – This is a Master Spirit. Linebeck unlocks the Jungle, which your Spirits can explore. 258 – Phantom – This is an Advanced Primary Spirit (Shield Type) with two slots. It can be Enhanced at level 99 to become Zelda (Spirit Tracks) (see my full list of Enhanceable Spirits). 259 – Zelda (Spirit Tracks) – This is an Ace Primary Spirit (Shield Type) with two slots and the “Trade-Off Ability ↑” skill. Enhanced from Phantom (see my full list of Enhanceable Spirits). 260 – Alfonzo & Engineer Link – This is an Advanced Support Spirit with the “Dash Attack ↑” skill. It takes up one slot. 261 – Byrne – This is a Novice Primary Spirit (Attack Type) with one slot and no skills. 262 – Totem Link – This is an Advanced Primary Spirit (Grab Type) with three slots and no skills. 263 – Madame Couture – This is an Advanced Support Spirit with the “Physical Attack ↑” skill. It takes up one slot. 264 – Samus – This is a Fighter Spirit. 265 – Dark Samus – This is a Fighter Spirit. 266 – Zero Suit Samus – This is a Fighter Spirit. 267 – Ridley – This is a Fighter Spirit. 268 – Meta Ridley – This is a Fighter Spirit. 269 – Gravity Suit – This is an Advanced Support Spirit with the “Lava-Floor Resist” skill. It takes up one slot. 270 – Fusion Suit – This is an Ace Primary Spirit (Balanced Type) with three slots and the “Shooting Items Power ↑” skill. This Spirit can be Summoned (see my full list of Summonable Spirits). 271 – Phazon Suit – This is an Ace Support Spirit with the “Poison Immunity” skill. It takes up two slots. 272 – Dark Suit – This is an Advanced Primary Spirit (Shield Type) with two slots. It can be Enhanced at level 99 to become Light Suit (see my full list of Enhanceable Spirits). 273 – Light Suit – This is a Legend Primary Spirit (Shield Type) with two slots and the “Healing Shield” skill. Enhanced from Dark Suit (see my full list of Enhanceable Spirits). 274 – Young Samus – This is an Advanced Primary Spirit (Balanced Type) with two slots and the “Shooting Items Power ↑” skill. 275 – Geemer – This is a Novice Primary Spirit (Shield Type) with one slot and the “Jump ↓” skill. 276 – Chozo Statue – This is an Advanced Support Spirit with the Shooting Attack ↑” skill. It takes up one slot. 277 – Metroid – This is an Ace Support Spirit with the “KOs Heal Damage” skill. It takes up two slots. 278 – Mother Brain – This is an Ace Primary Spirit (Shield Type) with one slot. It can be Enhanced at level 99 to become Mother Brain (2nd Form) (see my full list of Enhanceable Spirits). 279 – Mother Brain (2nd Form) – This is a Legend Primary Spirit (Shield Type) with one slot and the “Giant” skill. Enhanced from Mother Brain (see my full list of Enhanceable Spirits). 280 – Gunship – This is an Advanced Support SPirit with the “Energy Shot Attack/Resistance” skill. It takes up two slots. 281 – Queen Metroid – This is a Legend Primary SPirit (Grab Type) with three slots and the “Jump ↓” skill. 282 – Zebesian – This is an Advanced Primary Spirit (Balanced Type) with two slots and the “Fist Attack ↑” skill. 283 – Kraid – This is a Master Spirit. Kraid unlocks the Dojo where your Spirits can learn Tank Style. 284 – Phantoon – This is an Advanced Support Spirit with the “Sticky-Floor Immunity” skill. It takes up two slots. 285 – X Parasite – This is a Novice Primary Spirit (Attack Type) with two slots. It can be Enhanced at level 99 to become Nightmare (see my full list of Enhanceable Spirits). 286 – Nightmare – This is an Ace Primary Spirit (Attack Type) with two slots and the “Lifesteal” skill. Enhanced from X Parasite (see my full list of Enhanceable Spirits). 287 – Mecha Ridley – This is an Advanced Primary Spirit (Shield Type) with three slots and the “Initial Damage 30%”skill. 288 – Adam Malkovich – This is a Novice Primary Spirit (Shield Type) with two slots and no skills. 289 – Little Birdie – This is an Advanced Support Spirit with the “Stats ↑ after Eating” skill. It takes up one slot. 290 – Diggernaut – This is an Advanced Support Spirit with the “Bury Immunity” skill. It takes up one slot. 291 – Omega Ridley – This is a Legend Primary Spirit (Attack Type) with two slots and the “Weight ↑” skill. 292 – Parasite Queen – This is an Advanced Support Spirit with the “Screen-Flip Immunity” skill. It takes up two slots. 293 – Kanden – This is a Novice Support Spirit with the “Electric Resist ↑” skill. It takes up one slot. 294 – Trace – This is a Novice Primary Spirit (Attack Type) with one slot and no skills. 295 – Gandrayda – This is a Novice Support Spirit with the “Electric Attack ↑” skill. It takes up one slot. 296 – Mech – This is a Novice Primary Spirit (Balanced Type) with two slots and the “Weight ↑” skill. 297 – Yoshi – This is a Fighter Spirit. 298 – Yoshi (Yoshi’s Crafted World) – This is a Fighter Spirit. 299 – Baby Mario – This is an Ace Primary Spirit (Balanced Type) with three slots. It can be Enhanced at level 99 to become Baby Mario (Superstar Mario) (see my full list of Enhanceable Spirits). 300 – Baby Mario (Superstar Mario) – This is a Legend Primary Spirit (Balanced Type) with three slots and the “First-Strike Advantage” skill. Enhanced from Baby Mario (see my full list of Enhanceable Spirits). 301 – Baby Bowser – This is a Legend Primary Spirit (Balanced Type) with two slots and no skills. 302 – Stork – This is an Ace Support Spirit with the “Strong-Wind Immunity” skill. It takes up two slots. 303 – Toadies – This is an Advanced support Spirit with the “Toss & Meteor” skill. It takes up one slot. 304 – Crazee Dayzee – This is a Novice Primary Spirit (Balanced Type) with two slots and the “Weight ↓” skill. 305 – Tap-Tap – This is a Novice Primary Spirit with one slot and the “Weight ↑” skill. 306 – Bandit – This is an Advanced Support Spirit with the “Item Gravitation” skill. It takes up one slot. 307 – Slugger & Green Glove – This is a Novice Support Spirit with the “Beastball Equipped” skill. It takes up one slot. 308 – Little Mouser – This is a Novice Support Spirit with the “Lightweight” skill. It takes up one slot. 309 – Grim Leecher – This is a Novice Support Spirit with the “Ramblin’ Evil Mushroom Equipped” skill. It takes up one slot. 310 – Roger the Potted Ghost – This is an Advanced Support Spirit with the “Strong-Wind Resist” skill. It takes up one slot. This Spirit can be Summoned (see my full list of Summonable Spirits). 311 – Burt the Bashful – This is a Novice Primary Spirit (Shield Type) with two slots and the “Speed ↓” skill. 312 – Raphael the Raven – This is an Advanced Support Spirit with the “Falling Immunity” skill. It takes up one slot. 313 – Super Happy Tree – This is a Legend Support Spirit with the “Invincibility after Eating” skill. It takes up two slots. This Spirit can be Summoned (see my full list of Summonable Spirits). 314 – Pak E. Derm – This is an Advanced Support Spirit with the “Perfect-Shield Reflect” skill. It takes up one slot. This Spirit can be Summoned (see my full list of Summonable Spirits). 315 – Blargg – This is an Advanced Support Spirit with the “Mouthful of Curry” skill. It takes up two slots. 316 – Don Bongo – This is an Advanced Primary Spirit (Shield Type) with no slots and the “Fire Attack ↑” skill. 317 – Hongo – This is a Novice Support Spirit with the “Magic Resist ↑” skill. It takes up one slot. 318 – Spirit Who Loves Surprises – This is a Novice Support Spirit with the “PSI Attack ↑” skill. It takes up one slot. 319 – Mega Eggdozer – This is an Advanced Support Spirit with the “Strong Throw” skill. It takes up one slot. 320 – Ukiki – This is a Novice Support Spirit with the “Banana Gun Equipped” skill. It takes up one slot. 321 – Yarn Yoshi – This is an Ace Primary Spirit (Grab Type) with three slots and the “Weight ↓” skill. 322 – Yarn Poochy – This is an Advanced Primary Spirit (Shield Type) with three slots and the “Weight ↓” skill. 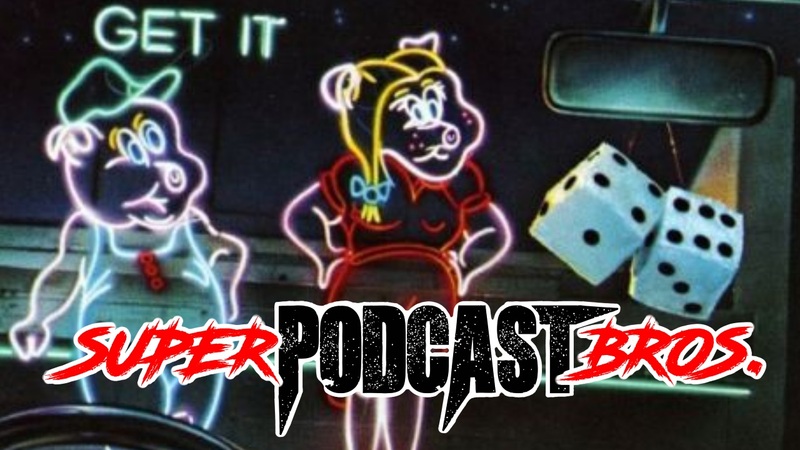 323 – Kirby – This is a Fighter Spirit. 324 – Meta Knight – This is a Fighter Spirit. 325 – King Dedede – This is a Fighter Spirit. 326 – Warp Star – This is an Advanced Support Spirit with the “Super Launch Star Equipped” skill It takes up one slot. 327 – Star Rod – This is an Ace Support Spirit with the “First-Strike Advantage” skill. It takes up two slots. 328 – Ultra Sword – This is an Ace Support Spirit with the “Chance of Double Final Smash” skill, It takes up two slots. 329 – Robobot Armor – This is an Advanced Support Spirit with the “Weapon Attack ↑” skill. It takes up one slot. 330 – Halberd – This is a Legend Support Spirit with the “Armor Knight” skill. It takes up two slots. 331 – Dragoon – This is a Legend Support Spirit with the “Giant Killer” skill. It takes up one slot. 332 – Rick – This is an Advanced Support Spirit with the “Stats ↑ after Eating” skill. It takes up one slot. 333 – Kine – This is an Advanced Support Spirit with the “Toss & Meteor” skill. It takes up one slot. 334 – Coo – This is an Advanced Support Spirit with the “Air Defense ↑” skill. It takes up one slot. 335 – Gooey – This is an Advanced Primary Spirit (Balanced Type) with three slots and no skills. 336 – Nago – This is a Novice Primary Spirit (Grab Type) with two slots and no skills. 337 – Pitch – This is a Novice Support Spirit with the “Unira Equipped” skill. It takes up one slot. 338 – ChuChu – This is a Novice Support Spirit with the “Super Leaf Equipped” skill. It takes up one slot. 339 – Whispy Woods – This is an Ace Primary Spirit (Shield Type) with one slot and the “Fire Weakness” skill. 340 – Kracko – This is an Advanced Primary Spirit (Grab Type) with three slots and the “Electric Attack ↑” skill. 341 – Nightmare’s Power Orb – This is an Advanced Primary Spirit (Grab Type) with two slots. It can be Enhanced at level 99 to become Nightmare Wizard (see my full list of Enhanceable Spirits). 342 – Nightmare Wizard – This is a Legend Primary Spirit (Grab Type) with two slots and the “Jam FS Charge” skill. Enhanced from Nightmare’s Power Orb (see my full list of Enhanceable Spirits). 343 – Dark Matter – This is a Legend Primary Spirit (Attack Type) with three slots and no skills. 344 – Gryll – This is a Novice Primary Spirit (Grab Type) with one slot and no skills. 345 – Dyna Blade – This is a Legend Primary Spirit (Shield Type) with two slots and the “Jump ↑” skill. This Spirit can be Summoned (see my full list of Summonable Spirits). 346 – Heavy Lobster – This is an Advanced Primary Spirit with one slot and no skills. 347 – Marx – This is an Advanced Primary Spirit (Grab Type) with three slots. It can be Enhanced at level 99 to become Marx (True Form) (see my full list of Enhanceable Spirits). 348 – Marx (True Form) – This is a Legend Primary Spirit (Grab Type) with three slots and the “Magic Attack ↑” skill. Enhanced from Marx (see my full list of Enhanceable Spirits). 349 – Moley – This is a Novice Support Spirit with the “Drill Equipped” skill. It takes up one slot. 350 – Dark Mind – This is an Ace Support Spirit with the “Franklin Badge Equipped” skill. It takes up two slots. 351 – Daroach – This is an Ace Primary Spirit (Attack Type) with three slots. This Spirit can be Summoned (see my full list of Summonable Spirits). It can be Enhanced at level 99 to become Dark Daroach (see my full list of Enhanceable Spirits). 352 – Dark Daroach – This is a Legend Primary Spirit (Attack Type) with three slots and the “Fire & Explosion Attack ↑” skill. Enhanced from Daroach (see my full list of Enhanceable Spirits). 353 – Masked Dedede – This is an Ace Primary Spirit (Attack Type) with two slots and no skills. This Spirit can be Summoned (see my full list of Summonable Spirits). 354 – Galacta Knight – This is a Legend Primary Spirit (Shield Type) with no slots and the “Sword Attack ↑” skill. This Spirit can be Summoned (see my full list of Summonable Spirits). 355 – Magolor – This is an Ace Primary Spirit (Attack Type) with three slots and no skills. 356 – Landia – This is an Advanced Primary Spirit (Attack Type) with three slots and the “Jump ↑” skill. This Spirit can be Summoned (see my full list of Summonable Spirits). 357 – Queen Sectonia – This is an Ace Primary Spirit (Grab Type) with two slots and no skills. This Spirit can be Summoned (see my full list of Summonable Spirits). 358 – Susie – This is an Advanced Support Spirit with the “Beam Sword Equipped” skill It takes up one slot. 359 – The Three Mage-Sisters – This is an Advanced Support Spirit with the “Battering Items ↑” skill. It takes up one slot. 360 – Waddle Dee – This is an Advanced Primary Spirit (Balanced Type) with three slots. It can be Enhanced at level 99 to become Bandana Waddle Dee (see my full list of Enhanceable Spirits). 361 – Bandana Waddle Dee – This is an Ace Primary Spirit (Balanced Type) with three slots and the “Battering Items ↑” skill. Enhanced from Waddle Dee (see my full list of Enhanceable Spirits). 362 – Waddle Doo – This is a Novice Primary Spirit (Attack Type) with one slot and no skills. 363 – Bronto Burt – This is a Novice Support Spirit with the “Floaty Jumps” skill. It takes up one slot. 364 – Poppy Bros. Jr. – This is a Novice Primary Spirit (Grab Type) with one slot and no skills. 365 – Gordo – This is an Advanced Primary SPirit (Shield Type) with no slots and no skills. 366 – Scarfy – This is a Novice Primary Spirit (Shield Type) with one slot. It can be Enhanced at level 99 to become Angry Scarfy (see my full list of Enhanceable Spirits). 367 – Angry Scarfy – This is an Advanced Primary Spirit (Shield Type) with one slot and the “Unflinching Charged Smashes” skill. Enhanced from Scarfy (see my full list of Enhanceable Spirits). 368 – Rocky – This is a Novice Support Spirit with the “Instadrop” skill. It takes up two slots. 369 – Wheelie – This is an Advanced Support Spirit with the “Dash Attack ↑” skill. It takes up one slot. 370 – Bomber – This is an Advanced Support Spirit with the “Bomber Equipped” skill. It takes up one slot. 371 – Bugzzy – This is an Advanced Support Spirit with the “Strong Throw” skill. It takes up one slot. 372 – Bonkers – This is an Ace Primary Spirit (Attack Type) with one slot and no skills. 373 – Mr. Frosty – This is a Novice Support Spirit with the “Freezie Equipped” skill. It takes up one slot. 374 – Meta-Knights – This is an Ace Primary Spirit (Balanced Type) with three slots and the “Sword Attack ↑” skill. 375 – Mr. Shine & Mr. Bright – This is an Advanced Primary Spirit (Balanced Type) with three slots and the “Balanced Attack ↑” skill. This Spirit can be Summoned (see my full list of Summonable Spirits). 376 – Plasma Wisp – This is a Novice Support Spirit with the “Hothead Equipped” skill. It takes up one slot. 377 – Tac – This is an Advanced Support Spirit with the “Item Gravitation” skill. It takes up one slot. 378 – Chef Kawasaki – This is an Ace Support Spirit with the “Stats ↑↑ after Eating” skill. It takes up two slots. 379 – Knuckle Joe – This is an Ace Primary Spirit (Attack Type) with one slot and the “Fist Attack ↑” skill. 380 – Prince Fluff – This is a Novice Primary Spirit (Grab Type) with one slot and the “Weight ↓” skill. 381 – Elline – This is an Advanced Support Spirit with the “Fairy Bottle Equipped” skill. It takes up one slot. This Spirit can be Summoned (see my full list of Summonable Spirits). 382 – Fox McCloud – This is a Fighter Spirit. 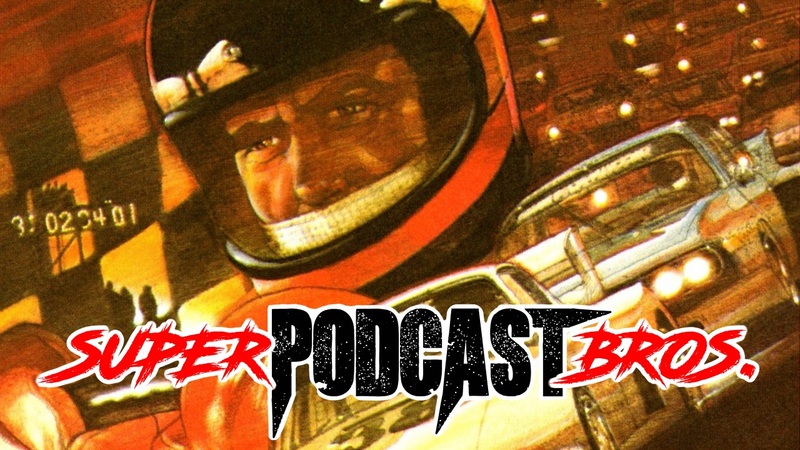 383 – Falco Lombardi – This is a Fighter Spirit. 384 – Wolf O’Donnell – This is a Fighter Spirit. 385 – Slippy Toad – This is an Ace Support Spirit with the “Made of Metal” skill. It takes up one slot. This Spirit can be Summoned (see my full list of Summonable Spirits). 386 – Peppy Hare – This is a Master Spirit. Peppy Hare unlocks the Dojo where your Spirits can learn Air Style. 387 – Krystal – This is a Legend Primary Spirit (Balanced Type) with two slots and the “Magic Attack ↑” skill. 388 – ROB 64 – This is an Advanced Support Spirit with the “Shooting Items ↑” skill. It takes up one slot. 389 – James McCloud – This is a Legend Primary Spirit (Shield Type) with three slots and no skills. 390 – Arwing – This is an Ace Support Spirit with the “Gravity-Change Immunity” skill. It takes up two slots. 391 – Great Fox – This is a Legend Support Spirit with the “Metal Killer” skill. It takes up one slot. This Spirit can be Summoned (see my full list of Summonable Spirits). 392 – Landmaster – This is an Advanced Support Spirit with the “Super Scope Equipped” skill. It takes up two slots. 393 – Walker – This is an Advanced Support Spirit with the “Ray Gun Equipped” skill. It takes up one slot. 394 – Gyrowing – This is a Novice Support Spirit with the “Rocket Belt Equipped” skill. It takes up one slot. 395 – Leon Powalski – This is an Advanced Primary Spirit (Attack Type) with two slots and no skills. 396 – Pigma Dengar – This is an Advanced Support Spirit with the “Shooting Attack ↑” skill. It takes up one slot. 397 – Andrew Oikonny – This is a Novice Primary Spirit (Grab Type) with one slot and no skills. 398 – Panther Caroso – This is a Novice Primary Spirit (Attack Type) with one slot and no skills. 399 – Wolfen – This is an Ace Support Spirit with the “Shield Damage ↑” skill. It takes up one slot. 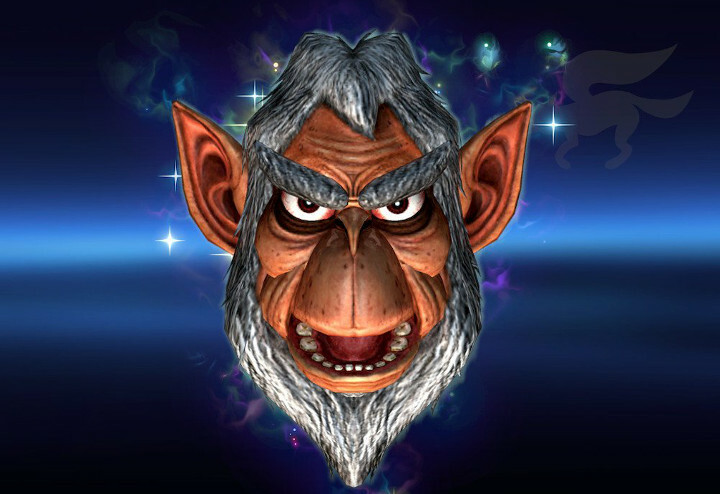 400 – Andross – This is an Advanced Primary Spirit (Grab Type) with two slots and no skills. This Spirit can be Summoned (see my full list of Summonable Spirits). 401 – Andross (Star Fox 64 3D) – This is an Ace Primary Spirit (Grab Type) with two slots. It can be Enhanced at level 99 to become Andross (True Form) (see my full list of Enhanceable Spirits). 402 – Andross (True Form) – This is a Legend Primary Spirit (Grab Type) with two slots and the “Critical-Health Stats ↑” skill. 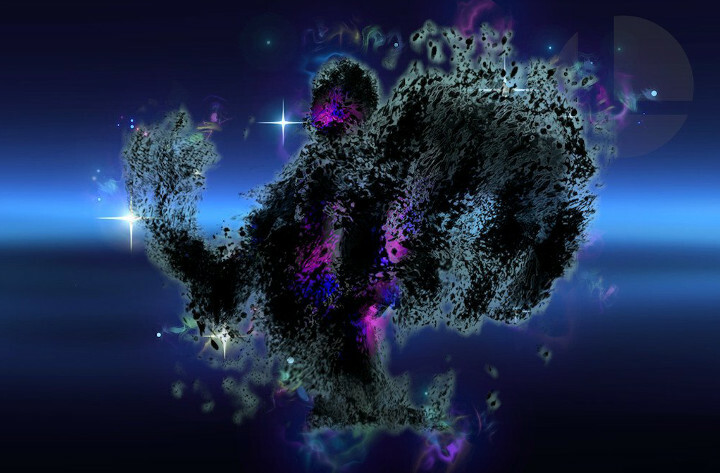 Enhanced from Andross (Star Fox 64 3D) (see my full list of Enhanceable Spirits). 403 – Aparoid – This is an Advanced Support Spirit with the “Irreversible Controls” skill. It takes up two slots. 404 – General Pepper – This is an Advanced Support Spirit with the “Back Shield Equipped” skill. This Spirit can be Summoned (see my full list of Summonable Spirits). 405 – Tricky – This is a Novice Primary Spirit (Shield Type) with one slot and the “Weight ↑” skill. 406 – Dash Bowman – This is a Novice Primary Spirit (Balanced Type) with two slots and no skills. 407 – Pikachu – This is a Fighter Spirit. 408 – Pikachu Libre – This is a Fighter Spirit. 409 – Jigglypuff – This is a Fighter Spirit. 410 – Pichu – This is a Fighter Spirit. 411 – Mewtwo – This is a Fighter Spirit. 412 – Pokémon Trainer (Male) – This is a Fighter Spirit. 413 – Pokémon Trainer (Female) – This is a Fighter Spirit. 414 – Squirtle – This is a Fighter Spirit. 415 – Ivysaur – This is a Fighter Spirit. 416 – Charizard – This is a Fighter Spirit. 417 – Lucario – This is a Fighter Spirit. 418 – Greninja – This is a Fighter Spirit. 419 – Incineroar – This is a Fighter Spirit. 420 – Venusaur – This is an Advanced Primary Spirit (Shield Type) with two slots and the “Fire Weakness” skill. 421 – Charmander – This is a Novice Primary Spirit (Attack Type) with one slot and the “Water Weakness” skill. 422 – Mega Charizard X – This is an Ace Primary Spirit (Attack Type) with one slot and the “Fire Attack ↑” skill. 423 – Blastoise – This is an Advanced Primary Spirit (Shield Type) with two slots and the “Electric Weakness” skill. 424 – Metapod – This is a Novice Support Spirit with the “Critical-Health Defense ↑” skill. It takes up one slot. 425 – Pidgey – This is a Novice Support Spirit with the “Landing Lag ↓” skill. It takes up one slot. 426 – Arbok – This is a Novice Primary Spirit (Attack Type) with one slot and no skills. 427 – Alolan Raichu – This is an Advanced Support Spirit with the “Bury Immunity” skill. It takes up one slot. 428 – Sandshrew – This is a Novice Support Spirit with the “Screw Attack Equipped” skill. It takes up two slots. 429 – Clefairy – This is a Novice Primary Spirit (Balanced Type) with two slots and no skills. 430 – Vulpix – This is a Novice Support Spirit with the “Fire Flower Equipped” skill. It takes up one slot. 431 – Alolan Vulpix – This is a Novice Support Spirit with the “Freezie Equipped” skill. It takes up one slot. 432 – Dugtrio – This is a Novice Support Spirit with the “Electric Resist ↑” skill. It takes up one slot. 433 – Meowth – This is an Advanced Support Spirit with the “Thrown Items ↑” skill. It takes up one slot. 434 – Psyduck – This is a Novice Support Spirit with the “PSI Attack ↑” skill. It takes up one slot. 435 – Arcanine – This is an Advanced Support Spirit with the “Mouthful of Curry” skill. It takes up two slots. 436 – Abra – This is a Novice Support Spirit with the “Improved Escape” skill. It takes up one slot. 437 – Machamp – This is an Advanced Primary Spirit (Grab Type) with three slots and no skills. 438 – Geodude – This is a Novice Primary Spirit with one slot and the “Water Weakness” skill. 439 – Rapidash – This is an Advanced Spirit (Attack Type) with one slot and the “Speed ↑” skill. 440 – Slowpoke – This is a Master Spirit. Slowpoke Unlocks the Dojo where you Spirits can learn Forgetful Style. 441 – Magneton – This is a Novice Primary Spirit (Shield Type) with three slots and the “Electric Attack ↑” skill. 442 – Farfetch’d – This is a Novice Support Spirit with the “Lip’s Stick Equipped” skill. It takes up one slot. 443 – Gengar – This is an Advanced Support Spirit with the “Poison Damage Reduced” skill. It takes up one slot. 444 – Electrode – This is an Advanced Support Spirit with the “Bomber Equipped” skill. It takes up one slot. 445 – Alolan Exeggutor – This is an Advanced Support Spirit with the “Back Shield Equipped” skill. It takes up one slot. 446 – Cubone – This is a Novice Primary Spirit (Grab Type) with one slot and the “Water Weakness” skill. 447 – Hitmonlee – This is an Advanced Primary Spirit (Attack Type) with one slot and the “Foot Attack ↑” skill. 448 – Weezing – This is a Novice Support Spirit with the “Fire & Explosion ↑” skill. It takes up one slot. 449 – Chansey – This is an Advanced Support Spirit with the “Fairy Bottle Equipped” skill. It takes up one slot. 450 – Kangaskhan – This is an Advanced Primary Spirit (Grab Type) with two slots. It can be Enhanced at level 99 to become Mega Kangaskhan (see my full list of Enhanceable Spirits). 451 – Mega Kangaskhan – This is an Ace Primary Spirit (Grab Type) with two slots and the “Chance of Double Final Smash” skill. Enhanced from Kangaskhan (see my full list of Enhanceable Spirits). 452 – Goldeen – This is a Novice Support Spirit with the “Swimmer” skill. It takes up one slot. 453 – Staryu – This is a Novice Primary Spirit (Grab Type) with two slots and the “Electric Weakness” skill. 454 – Pinsir – This is an Advanced Primary Spirit (Grab Type) with two slots and no skills. 455 – Tauros – This is an Advanced Primary Spirit (Balanced Type) with two slots and the Speed ↑” skill. 456 – Gyarados – This is an Advanced Support Spirit with the “Air Attack ↑” skill. It takes up one slot. 457 – Lapras – This is an Advanced Support Spirit with the “Weapon Resist ↑” skill. It takes up two slots. 458 – Ditto – This is an Advanced Support Spirit with the “Trade-Off Attacks ↑” skill. It takes up one slot. 459 – Eevee – This is a Novice Primary Spirit (Balanced Type) with two slots and no skills. 460 – Porygon – This is a Novice Primary Spirit (Shield Type) with one slot and no skills. 461 – Snorlax – This is an Advanced Support Spirit with the “Strong-Wind Resist” skill. It takes up one slot. 462 – Articuno, Zapdos, & Moltres – This is a Legend Primary Spirit (Attack Type) with three slots and no skills. 463 – Dragonite – This is an Advanced Primary Spirit (Shield Type) with two slots and no skills. 464 – Mega Mewtwo Y – This is an Ace Primary Spirit (Grab Type) with one slot and the “PSI Attack ↑” skill. 465 – Mew – This is a Legend Support Spirit with the “Special-Move Power ↑” skill. It takes up one slot. 466 – Chikorita – This is a Novice Primary Spirit (Grab Type) with two slots and the “Fire Weakness” skill. 467 – Togepi – This is an Advanced Support Spirit with the “Critical-Health Stats ↑” skill. it takes up one slot. This Spirit can be Summoned (see my full list of Summonable Spirits). 468 – Ampharos – This is an Advanced Primary Spirit (Attack Type) with two slots and the “Electric Attack ↑” skill. 469 – Bellossom – This is a Novice Support Spirit with the “Ramblin’ Evil Mushroom Equipped” skill. It takes up one slot. 470 – Marill – This is a Novice Support Spirit with the “Impact Run” skill. It takes up one slot. 471 – Sudowoodo – This is a Novice Support Spirit with the “Transformation Duration ↑” skill. It takes up one slot. 472 – Wooper – This is a Novice Support Spirit with the “Water & Ice Attack ↑” skill. It takes up one slot. 473 – Unown – This is a Novice Support Spirit with the “PSI Resist ↑” skill. It takes up one slot. 474 – Wobbuffet – This is an Advanced Support Spirit with the “Irreversible Controls” skill. It takes up two slots. 475 – Steelix – This is an Advanced Primary Spirit (Shield Type) with one slot and the “Weight ↑” skill. 476 – Scizor – This is an Advanced Primary Spirit (Attack Type) with two slots and the “Fire Weakness” skill. This Spirit can be Summoned (see my full list of Summonable Spirits). 477 – Heracross – This is an Advanced Primary Spirit (Grab Type) with two slots and the “Fire Weakness” skill. 478 – Skarmory – This is a Novice Primary Spirit (Shield Type) with two slots and the “Electric Weakness” skill. 479 – Houndoom – This is an Advanced Primary Spirit (Attack Type) with one slot and the “Fire Attack ↑” skill. 480 – Smeargle – This is a Novice Primary Spirit (Balanced Type) with three slots and no skills. 481 – Miltank – This is a Novice Support Spirit with the “Instadrop” skill. It takes up two slots. 482 – Raikou, Entei, & Suicune – This is an Ace Primary Spirit (Shield Type) with one slot at the “Speed ↑” skill. 483 – Tyranitar – This is an Advanced Primary Spirit (Shield Type) with two slots and the “Water Weakness” skill. 484 – Lugia – This is an Ace Primary Spirit (Grab Type) with two slots and the “Water Attack ↑” skill. 485 – Ho-Oh – This is a Legend Support Spirit with the “Additional Midair Jump” skill. It takes up two slots. This Spirit can be Summoned (see my full list of Summonable Spirits). 486 – Celebi – This is a Legend Support Spirit with the “Great Autoheal” skill. It takes up three slots. 487 – Blaziken – This is an Advanced Primary Spirit (Attack Type) with one slot and the “Foot Attack ↑” skill. 488 – Gardevoir – This is an Advanced Support Spirit with the “Perfect-Shield Reflect” skill. It takes up one slot. 489 – Shedinja – This is an Advanced Support Spirit with the “Trade-Off Defense ↑” skill. It takes up one slot. 490 – Flygon – This is an Advanced Primary Spirit (Grab Type) with two slots and no skills. 491 – Milotic – This is an Advanced Support Spirit with the “Undamaged Attack ↑” skill. It takes up one slot. 492 – Absol – This is a Novice Primary Spirit (Attack Type) with one slot and no skills. 493 – Salamence – This is an Advanced Primary Spirit (Attack Type) with one slot and the “Jump ↑” skill. 494 – Metagross – This is an Advanced Primary Spirit (Shield Type) with one slot and the “PSI Attack ↑” skill. 495 – Latias & Latios – This is an Ace Support Spirit with the “Strong-Wind Immunity” skill. It takes up two slots. 496 – Kyogre – This is an Advanced Primary Spirit (Shield Type) with three slots. It can be Enhanced at level 99 to become Primal Kyogre (see my full list of Enhanceable Spirits). 497 – Primal Kyogre – This is an Ace Primary Spirit (Shield Type) with three slots and the “Water/Freezing Resist ↑” skill. Enhanced from Kyogre (see my full list of Enhanceable Spirits). 498 – Groudon – This is an Advanced Primary Spirit (Attack Type) with two slots. It can be Enhanced at level 99 to become Primal Groudon (see my full list of Enhanceable Spirits). 499 – Primal Groudon – This is an Ace Primary Spirit (Attack Type) with two slots and the “Fire/Explosion Resist ↑” skill. Enhanced from Groudon (see my full list of Enhanceable Spirits). 500 – Rayquaza – This is an Ace Primary Spirit (Balanced Type) with three slots and the “Jump ↑” skill. 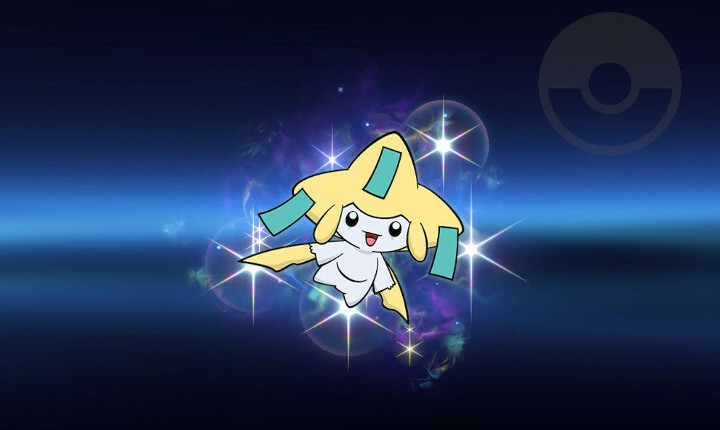 501 – Jirachi – This is a Legend Support Spirit with the “Fast Final Smash Meter” skill. It takes up two slots. This Spirit can be Summoned (see my full list of Summonable Spirits). 502 – Deoxys (Normal Forme) – This is a Legend Primary Spirit (Grab Type) with no slots and the “PSI Attack ↑” skill. 503 – Piplup – This is a Novice Support Spirit with the “Fire/Explosion Resist ↑” skill. It takes up one slot. 504 – Garchomp – This is an Advanced Primary Spirit (Attack Type) with two slots and no skills. 505 – Mega Lucario – This is an Ace Primary Spirit (Grab Type) with three slots and the “Initial Damage 30%” skill. 506 – Abomasnow – This is a Novice Primary Spirit (Grab Type) with one slot and the “Fire Weakness” skill. 507 – Rotom – This is an Advanced Support Spirit with the “Energy Shot Attack/Resistance ↑” skill. It takes up two slots. 508 – Uxie, Mesprit, & Azelf – This is an Ace Primary Spirit (Grab Type) with three slots and the “PSI Attack ↑” skill. 509 – Dialga – This is an Ace Primary Spirit (Grab Type) with three slots and no skills. 510 – Palkia – This is an Ace Primary Spirit (Shield Type) with three slots and no skills. 511 – Regigigas – This is an Ace Support Spirit with the “Slow Super Armor” skill. It takes up two slots. 512 – Giratina (Altered Forme) – This is an Ace Primary Spirit (Balanced Type) with three slots. It can be Enhanced at level 99 to become Giratina (Origin Forme) (see my full list of Enhanceable Spirits). 513 – Giratina (Origin Forme) – This is a Legend Primary Spirit (Balanced Type) with three slots and the “Shield Damage ↑” skill. Enhanced from Giratina (Altered Forme) (see my full list of Enhanceable Spirits). 514 – Cresselia – This is an Ace Primary Spirit (Shield Type) with three slots and no skills. 515 – Manaphy – This is a Legend Support Spirit with the “Running Start” skill. It takes up two slots. 516 – Darkrai – This is an Ace Support Spirit with the “Slumber Immunity” skill. It takes up one slot. 517 – Shaymin (Land Forme) – This is an Ace Primary Spirit (Grab Type) with three slots. It can be Enhanced at level 99 to become Shaymin (Sky Forme) (see my full list of Enhanceable Spirits). 518 – Shaymin (Sky Forme) – This is a Legend Primary Spirit (Grab Type) with three slots and the “Jump ↑” skill. Enhanced from Shaymin (Land Forme) (see my full list of Enhanceable Spirits). 519 – Arceus – This is a Legend Primary Spirit (Balanced Type) with three slots and no skills. 520 – Victini – This is a Legend Support Spirit with the “Hyper Smash Attacks” skill. It takes up one slot. 521 – Oshawott – This is a Novice Primary Spirit (Grab Type) with one slot and the “Electric Weakness” skill. 522 – Zoroark – This is an Advanced Primary Spirit (Attack Type) with one slot and no skills. 523 – Chandelure – This is an Advanced Support Spirit with the “Lava-Floor Resist” skill. It takes up one slot. 524 – Hydreigon – This is an Advanced Primary Spirit (Attack Type) with three slots and no skills. 525 – Cobalion, Terrakion, & Virizion – This is an Ace Primary Spirit (Balanced Type) with three slots and no skills. 526 – Tornadus (Incarnate Forme) – This is an Advanced Support Spirit with the “Item Gravitation” skill. It takes up one slot. 527 – Thundurus (Incarnate Forme) – This is an Advanced Support Spirit with the “Move Speed ↑” skill. It takes up one slot. 528 – Reshiram – This is an Ace Primary Spirit (Shield Type) with two slots and the “Fire Attack ↑” skill. 529 – Zekrom – This is an Ace Primary Spirit (Grab Type) with two slots and the “Electric Attack ↑” skill. 530 – Landorus (Therian Forme) – This is an Ace Primary Spirit (Balanced Type) with two slots and no skills. 531 – Kyurem – This is an Advanced Support Spirit with the “Toss & Meteor” skill. It takes up one slot. 532 – Kyurem (Black Kyurem) – This is an Ace Primary Spirit (Attack Type) with three slots and no skills. This Spirit can be Summoned (see my full list of Summonable Spirits). 533 – Kyurem (White Kyurem) – This is an Ace Primary Spirit (Shield Type) with three slots and no skills. This Spirit can be Summoned (see my full list of Summonable Spirits). 534 – Keldeo (Ordinary Form) – This is an Advanced Primary Spirit (Shield Type) with one slot. It can be Enhanced at level 99 to become Keldeo (Resolute Form) (see my full list of Enhanceable Spirits). 535 – Keldeo (Resolute Form) – This is a Legend Primary Spirit (Shield Type) with one slot and the “Hyper Smash Attacks” skill. Enhanced from Keldeo (Ordinary Form) (see my full list of Enhanceable Spirits). 536 – Meloetta (Aria Forme) – This is an Ace Support Spirit with the “Autoheal” skill. It takes up two slots. 537 – Genesect – This is an Ace Primary Spirit (Shield Type) with three slots and no skills. 538 – Chespin – This is a Novice Primary Spirit (Shield Type) with one slot and the “Fire Weakness” skill. 539 – Aegislash – This is an Advanced Support Spirit with the “Killing Edge Equipped” skill. It takes up one slot. 540 – Inkay – This is an Advanced Support Spirit with the “Falling Immunity” skill. It takes up one slot. 541 – Dedenne – This is a Novice Support Spirit with the “Electric Attack ↑” skill. It takes up one slot. 542 – Xerneas – This is an Ace Primary Spirit (Shield Type) with three slots and no skills. 543 – Yveltal – This is an Ace Primary Spirit (Grab Type) with two slots and no skills. 544 – Zygarde (50% Forme) – This is a Novice Primary Spirit (Grab Type) with two slots. It can be Enhanced at level 99 to become Zygarde (Complete Forme) (see my full list of Enhanceable Spirits). 545 – Zygarde (Complete Forme) – This is a Legend Primary Spirit (Grab Type) with two slots and the “Critical-Health Healing” skill. Enhanced from Zygarde (50% Forme) (see my full list of Enhanceable Spirits). 546 – Diancie – This is an Advanced Primary Spirit (Grab Type) with three slots. It can be Enhanced at level 99 to become Mega Diancie (see my full list of Enhanceable Spirits). 547 – Mega Diancie – This is a Legend Primary Spirit (Grab Type) with three slots and the “Franklin Badge Equipped” skill. Enhanced from Diancie (see my full list of Enhanceable Spirits). 548 – Hoopa (Confined) – This is an Advanced Primary Spirit (Grab Type) with three slots. It can be Enhanced at level 99 to become Hoopa (Unbound) (see my full list of Enhanceable Spirits). 549 – Hoopa (Unbound) – This is an Ace Primary Spirit (Grab Type) with three slots and the “Toss & Meteor” skill. Enhanced from Hoopa (Confined) (see my full list of Enhanceable Spirits). 550 – Volcanion – This is an Ace Support Spirit with the “Lava-Floor Immunity” skill. It takes up two slots. 551 – Rowlet – This is a Novice Primary Spirit (Shield Type) with one slot and the “Fire Weakness” skill. 552 – Bewear – This is an Advanced Primary Spirit (Attack Type) with one slot and no skills. 553 – Pyukumuku – This is a Novice Support Spirit with the “Critical-Health Attack ↑” skill. It takes up one slot. 554 – Togedemaru – This is a Novice Primary Spirit (Shield Type) with one slot and the “Electric Attack ↑” skill. 555 – Mimikyu – This is an Advanced Support Spirit with the “Death’s Scythe Equipped” skill. It takes up one slot. 556 – Tapu Koko – This is an Ace Primary Spirit (Shield Type) with one slot and the “Electric Attack ↑” skill. 557 – Solgaleo – This is an Ace Primary Spirit (Attack Type) with three slots and the “Fire Attack ↑” skill. 558 – Lunala – This is an Ace Primary Spirit (Grab Type) with three slots and no skills. 559 – Nihilego – This is an Advanced Support Spirit with the “Screen-Flip Immunity” skill. It takes up two slots. 560 – Necrozma – This is an Ace Support Spirit with the “Gravity-Change Immunity” skill. It takes up two slots. 561 – Magearna – This is an Ace Support Spirit with the “Ice-Floor Immunity” skill. It takes up two slots. 562 – Detective Pikachu – This is an Advanced Support Spirit with the “Fog Immunity” skill. It takes up two slots. 563 – Ness – This is a Fighter Spirit. 564 – Lucas – This is a Fighter Spirit. 565 – Ninten – This is a Legend Primary Spirit (Grab Type) with two slots and the “PSI Attack ↑” skill. 566 – Ana – This is an Ace Support Spirit with the “Franklin Badge Equipped” skill. It takes up two slots. 567 – Lloyd – This is an Ace Primary Spirit (Grab Type) with two slots and the “Electric Attack ↑” skill. 568 – Teddy – This is an Advanced Primary Spirit (Attack Type) with one slot and no skills. 569 – EVE – This is an Ace Primary Spirit (Shield Type) with one slot and no skills. 570 – Flying Man – This is an Ace Primary Spirit (Attack Type) with three slots and the “Initial Damage 30%” skill. This Spirit can be Summoned (see my full list of Summonable Spirits). 571 – Starman – This is an Advanced Primary Spirit (Grab Type) with two slots and the “PSI Attack ↑” skill. 572 – Paula – This is a Legend Primary Spirit (Shield Type) with three slots and the “PSI Attack ↑” skill. 573 – Jeff – This is a Legend Support Spirit with the “Jam FS Charge” skill. It takes up two slots. 574 – Poo – This is an Ace Primary Spirit (Shield Type) with two slots and the “PSI Attack ↑” skill. 575 – Buzz Buzz – This is a Novice Primary Spirit (Attack Type) with three slots and the “Initial Damage 30%” skill. 576 – Ness’s Father – This is a Legend Support Spirit with the “Running Start” skill. It takes up two slots. 577 – Mr. Saturn – This is an Ace Support Spirit with the “Shield Damage ↑” skill. It takes up one slot. This Spirit can be Summoned (see my full list of Summonable Spirits). 578 – Dungeon Man – This is an Advanced Support Spirit with the “Falling Immunity” skill. It takes up one slot. 579 – Ramblin’ Evil Mushroom – This is a Novice Support Spirit with the “Ramblin’ Evil Mushroom Equipped” skill. 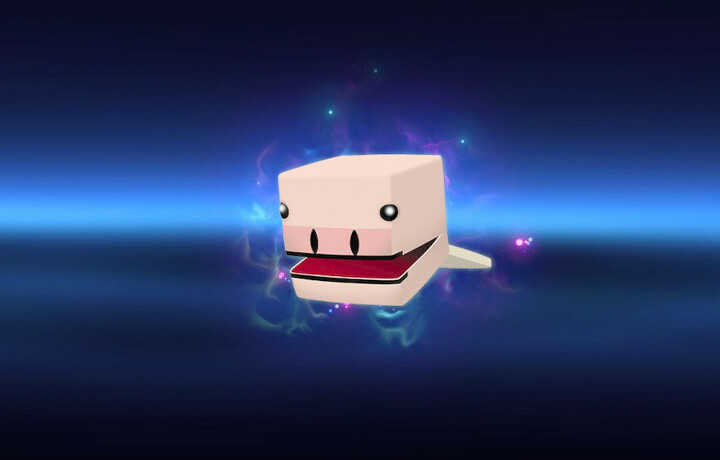 580 – Master Belch – This is an Advanced Primary Spirit (Balanced Type) with three slots and the “Speed ↓” skill. 581 – Flint – This is an Advanced Primary Spirit (Attack Type) with one slot and no skills. 582 – Hinawa – This is a Legend Support Spirit with the “Critical Immunity” skill. 583 – Boney – This is a Novice Primary Spirit (Balanced Type) with two slots and no skills. 584 – Duster – This is a Novice Primary Spirit (Attack Type) with one slot and the “Foot Attack ↑” skill. 585 – Kumatora – This is an Advanced Primary Spirit (Attack Type) with two slots and the “PSI Attack ↑” skill. 586 – Salsa – This is a Novice Primary Spirit (Grab Type) with one slot and no skills. 587 – Ultimate Chimera – This is an Ace Support Spirit with the “Critical Hit ↑” skill. It takes up one slot. This Spirit can be Summoned (see my full list of Summonable Spirits). 588 – Absolutely Safe Capsule – This is a Legend Primary Spirit (shield Type) with no slots and no skills. This Spirit can be Summoned (see my full list of Summonable Spirits). 589 – Masked Man – This is an Ace Primary Spirit (Attack Type) with two slots and the “Sword Attack ↑” skill. 590 – Claus – This is a Legend Primary Spirit (Balanced Type) with three slots and no skills. 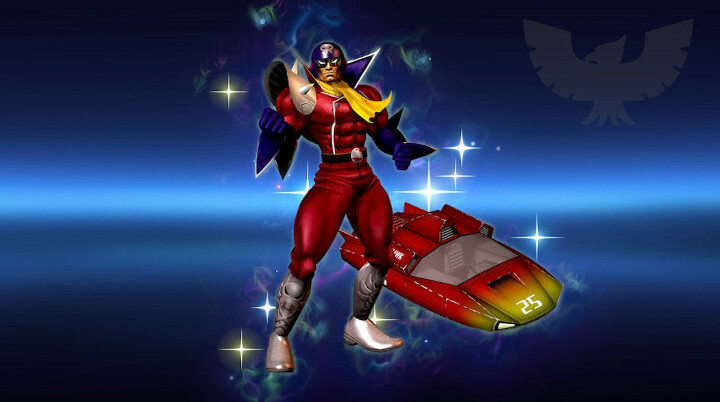 591 – Captain Falcon – This is a Fighter Spirit. 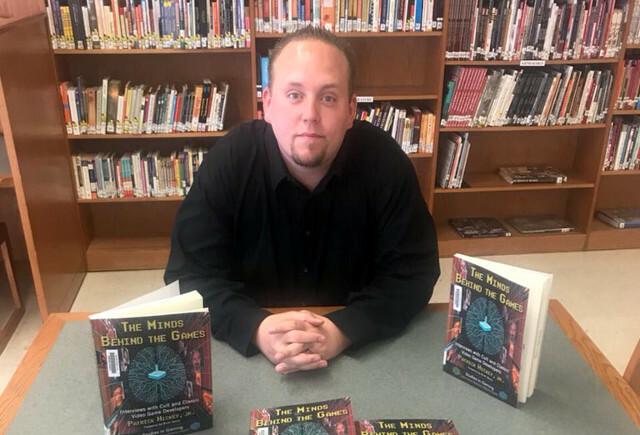 592 – Dr. Stewart – This is a Master Spirit. Dr. Stewart unlocks the Dojo where your Spirits can learn Runner Style. 593 – Pico – This is an Advanced Primary Spirit (Shield Type) with one slot and the “Speed ↑” skill. 594 – Samurai Goroh – This is a Legend Primary Spirit (Attack Type) with three slots and the “Speed ↑” skill. This Spirit can be Summoned (see my full list of Summonable Spirits). 595 – Jody Summer – This is an Ace Support Spirit with the “Gravity-Change Immunity” skill. It takes up two slots. 596 – Mighty Gazelle – This is an Advanced Primary Spirit (Shield Type) with one slot and the “Speed ↑” skill. 597 – Baba – This is a Novice Support Spirit with the “Trade-Off Speed ↑” skill. It takes up one slot. 598 – Octoman – This is an Advanced Primary Spirit (Grab Type) with two slots and the “Speed ↑” skill. 599 – Mr. EAD – This is an Advanced Support Spirit with the “Dash Attack ↑” skill. It takes up one slot. 600 – Bio Rex – This is a Novice Primary Spirit (Attack Type) with one slot and the “Speed ↑” skill. 601 – Blood Falcon – This is an Ace Primary Spirit (Attack Type) with two slots and the “Speed ↑” skill. 602 – Jack Levin – This is an Ace Primary Spirit (Shield Type) with three slots and the “Speed ↑” skill. 603 – Zoda – This is an Advanced Primary Spirit (Attack type) with one slot and the “Speed ↑” skill. 604 – Black Shadow – This is a Legend Primary Spirit (Shield Type) with two slots and the “Speed ↑” skill. 605 – The Skull – This is a Novice Support Spirit with the “PSI Attack ↑” skill. It takes up one slot. 606 – Ice Climbers – This is a Fighter Spirit. 607 – Condor – This is an Advanced Support Spirit with the “Strong-Wind Resist” skill. It takes up one slot. 608 – Polar Bear – This is an Ace Support Spirit with the “Slow Super Armor” skill. It takes up two slots. This Spirit can be Summoned (see my full list of Summonable Spirits). 609 – Eggplant – This is a Novice Support Spirit with the “Stamina ↑” skill. It takes up one slot. 610 – Marth – This is a Fighter Spirit. 611 – Lucina – This is a Fighter Spirit. 612 – Roy (Fire Emblem) – This is a Fighter Spirit. 613 – Chrom – This is a Fighter Spirit. 614 – Ike (Path of Radiance) – This is a Fighter Spirit. 615 – Ike (Radiant Dawn) – This is a Fighter Spirit. 616 – Robin (Male) – This is a Fighter Spirit. 617 – Robin (Female) – This is a Fighter Spirit. 618 – Corrin (Male) – This is a Fighter Spirit. 619 – Corrin (Female) – This is a Fighter Spirit. 620 – Caeda – This is a Legend Primary Spirit (Shield Type) with three slots and the “Jump ↑” skill. 621 – Jagen – This is an Advanced Primary Spirit (Shield Type) with one slot and no skills. 622 – Draug – This is a Novice Primary Spirit (Shield Type) with one slot and the “Weight ↑” skill. 623 – Wrys – This is a Novice Support Spirit with the “Aura Resist ↑” skill. It takes up one slot. 624 – Bord & Cord & Barst – This is a Novice Primary Spirit (Attack Type) with three slots and no skills. 625 – Navarre – This is an Advanced Spirit with the “Killing Edge Equipped” skill. It takes up one slot. 626 – Merric – This is a Novice Support Spirit with the “Aura Attack ↑” skill. It takes up one slot. 627 – Minerva – This is an Advanced Primary Spirit (Shield Type) with two slots and no skills. 628 – Linde – This is an Advanced Support Spirit with the “Bob-omb Equipped” skill. It takes up one slot. 629 – Pegasus Sisters – This is an Ace Spirit (Grab Type) with three slots and the “Jump ↑” skill. This Spirit can be Summoned (see my full list of Summonable Spirits). 630 – Tiki – This is an Advanced Primary Spirit (Balanced Type) with three slots. This Spirit can be Summoned (see my full list of Summonable Spirits). It can be Enhanced at level 99 to become Tiki (Naga’s Voice) (see my full list of Enhanceable Spirits). 631 – Tiki (Naga’s Voice) – This is an Ace Primary Spirit (Balanced Type) with three slots and the “Fire/Explosion Resist ↑” skill. Enhanced from Tiki (see my full list of Enhanceable Spirits). 632 – Nyna – This is an Advanced Support Spirit with the “Poison Damage Reduced” skill. It takes up one slot. 633 – Camus – This is an Ace Primary Spirit (Shield Type) with three slots. It can be Enhanced at level 99 to become Sirius (see my full list of Enhanceable Spirits). 634 – Sirius – This is a Legend Primary Spirit (Shield Type) with three slots and the “Weapon Attack ↑” skill. Enhanced from Camus (see my full list of Enhanceable Spirits). 635 – Medeus – This is an Advanced Support Spirit with the “Lava-Floor Resist” skill. It takes up one slot. 636 – Gharnef – This is a Novice Support Spirit with the “Fire & Explosion Attack ↑” skill. It takes up one slot. 637 – Alm & Celica (Young) – This is an Advanced Primary Spirit (Balanced Type) with three slots. It can be Enhanced at level 99 to become Alm & Celica (see my full list of Enhanceable Spirits). 638 – Alm & Celica – This is an Ace Primary Spirit (Balanced Type) with three slots and the “Back Shield Equipped” skill. Enhanced from Alm & Celica (Young) (see my full list of Enhanceable Spirits). 639 – Sigurd – This is an Advanced Spirit (Balanced Type) with three slots and the “Sword Attack ↑” skill. 640 – Deirdre – This is an Advanced Support Spirit with the “Trade-Off Attacks ↑” skill. It takes up one slot. 641 – Seliph – This is an Advanced Primary Spirit (Attack Type) with one slot and the “Sword Attack ↑” skill. 642 – Leif (Fire Emblem) – This is an Ace Primary Spirit with one slot and the “Sword Attack ↑” skill. 643 – Julius – This is a Novice Primary Spirit (Balanced Type) with two slots and the “Fire Attack ↑” skill. 644 – Lilina – This is an Advanced Primary Spirit (Attack Type) with two slots and the “Fire Attack ↑” skill. 645 – Lyn – This is an Ace Primary Spirit (Attack Type) with two slots. It can be Enhanced at level 99 to become Lyn (Blade Lord) (see my full list of Enhanceable Spirits). 646 – Lyn (Blade Lord) – This is a Legend Primary Spirit (Attack Type) with two slots and the “Critical Hit ↑↑” skill. Enhanced from Lyn (see my full list of Enhanceable Spirits). 647 – Eliwood – This is an Ace Primary Spirit (Balanced Type) with two slots and the “Fire Attack ↑” skill. 648 – Hector (Fire Emblem) – This is an Ace Support Spirit with the “Unflinching Charged Smashes” skill. It takes up two slots. This Spirit can be Summoned (see my full list of Summonable Spirits). 649 – Raven – This is a Novice Primary Spirit (Attack Type) with one slot and the “Sword Attack ↑” skill. 650 – Ninian – This is an Advanced Support Spirit with the “Trade-Off Defense ↑” skill. It takes up one slot. 651 – Karel – This is an Advanced Support Spirit with the “Weapon Attack ↑” skill. It takes up one slot. 652 – Nino – This is an Advanced Support Spirit with the “Undamaged Attack ↑” skill. It takes up one slot. 653 – Eirika – This is an Ace Primary Spirit (Shield Type) with three slots and the “Weight ↓” skill. 654 – Ephraim – This is an Ace Primary Spirit (Attack Type) with two slots and no skills. This Spirit can be Summoned (see my full list of Summonable Spirits). 655 – L’Arachel – This is a Novice Support Spirit with the “Magic Resist ↑” skill. It takes up one slot. 656 – Lyon – This is an Advanced Primary Spirit (Grab Type) with one slot and the “Magic Attack ↑” skill. 657 – Titania – This is a Novice Primary Spirit (Grab Type) with two slots and no skills. 658 – Soren – This is a Novice Support Spirit with the “Magic Attack ↑” skill. It takes up one slot. 659 – Mist – This is an Advanced Support Spirit with the “Mouthful of Curry” skill. It takes up two slots. 660 – Sothe – This is an Advanced Support Spirit with the “Battering Items ↑” skill. It takes up one slot. 661 – Elincia – This is an Advanced Primary Spirit (Shield Type) with two slots. It can be Enhanced at level 99 to become Queen Elincia (see my full list of Enhanceable Spirits). 662 – Queen Elincia – This is a Legend Primary Spirit (Shield Type) with two slots and the “Additional Midair Jump” skill. Enhanced from Elincia (see my full list of Enhanceable Spirits). 663 – Ashnard – This is an Advanced Support Spirit with the “Toss & Meteor” skill. It takes up one slot. 664 – Zelgius – This is an Ace Primary Spirit (Attack Type) with two slots. It can be Enhanced at level 99 to become Black Knight (see my full list of Enhanceable Spirits). 665 – Black Knight – This is a Legend Primary Spirit (Attack Type) with two slots and the “Armor Knight” skill. Enhanced from Zelgius (see my full list of Enhanceable Spirits). 666 – Micaiah – This is an Ace Primary Spirit (Grab Type) with two slots and the “Magic Attack ↑” skill. This Spirit can be Summoned (see my full list of Summonable Spirits). 667 – Lissa – This is an Advanced Support Spirit with the “Fairy Bottle Equipped” skill. It takes up one slot. 668 – Lon’qu – This is an Advanced Support Spirit with the “Killing Edge Equipped” skill. It takes up one slot. 669 – Cordelia – This is an Advanced Primary Spirit (Shield Type) with one slot and no skills. This Spirit can be Summoned (see my full list of Summonable Spirits). 670 – Tharja – This is an Advanced Primary Spirit (Grab Type) with two slots and the “Magic Attack ↑” skill. 671 – Anna – This is a Master Spirit. Anna unlocks Anna’s Emporium, which is a shop. 672 – Gangrel – This is an Advanced Primary Spirit (Attack Type) with two slots and the “Electric Attack ↑” skill. 673 – Walhart – This is an Ace Support Spirit with the “Slow Super Armor” skill. It takes up two slots. 674 – Owain – This is a Novice Primary Spirit (Attack Type) with one slot and the “Electric Attack↑” skill. 675 – Severa – This is a Novice Primary Spirit with three slots and no skills. 676 – Azura – This is a Legend Support Spirit with the “Weapon Attack & Move Speed ↑” skill. It takes up two slots. 677 – Jakob – This is an Advanced Support Spirit with the “Thrown Items ↑” skill. It takes up one slot. 678 – Ryoma – This is a Master Spirit. Ryoma unlocks the Dojo where your Spirits can learn Demon Style. 679 – Hinoka – This is an Ace Primary Spirit (Attack Type) with two slots and the “Jump ↑” skill. 680 – Takumi – This is an Ace Primary Spirit (Grab Type) with two slots and no skills. 681 – Sakura (Fire Emblem) – This is an Ace Support Spirit with the “Poison Immunity” skill. It takes up two slots. 682 – Xander – This is a Legend Primary Spirit (Attack Type) with three slots and the “Sword Attack ↑” skill. This Spirit can be Summoned (see my full list of Summonable Spirits). 683 – Camilla – This is an Ace Primary Spirit (Grab Type) with one slot and no skills. 684 – Leo – This is an Ace Primary Spirit (Attack Type) with two slots and the “Magic Attack ↑” skill. 685 – Elise – This is an Ace Support Spirit with the “Autoheal” skill. It takes up two slots. 686 – Garon – This is an Ace Support Spirit with the “Trade-Off Ability ↑” skill. It takes up one slot. 687 – Tsubasa Oribe – This is a Novice Primary Spirit (Shield Type) with three slots. It can be Enhanced at level 99 to become Tsubasa Oribe (Carnage Form) (see my full list of Enhanceable Spirits). 688 – Tsubasa Oribe (Carnage Form) – This is an Ace Primary Spirit (Shield Type) with three slots and the “Jump ↑” skill. Enhanced from Tsubasa Oribe (see my full list of Enhanceable Spirits). 689 – Mr. Game & Watch – This is a Fighter Spirit. 690 – Ball – This is an Advanced Support Spirit with the “Thrown Items ↑” skill. It takes up one slot. 691 – Flagman – This is an Advanced Support Spirit with the “Critical-Health Stats ↑” skill. It takes up one slot. 692 – Fire – This is an Ace Support Spirit with the “Lava-Floor Immunity” skill. It takes up two slots. 693 – Judge – This is an Ace Support Spirit with the “Critical Hit ↑” skill. It takes up one slot. 694 – Manhole – This is an Advanced Support Spirit with the “Bury Immunity” skill. It takes up one slot. 695 – Helmet – This is a Novice Support Spirit with the “Critical-Health Defense ↑” skill. It takes up one slot. 696 – Lion – This is an Advanced Primary Spirit (Shield Type) with one slot and no skills. 697 – Parachute – This is an Advanced Support Spirit with the “Air Defense ↑” skill. It takes up one slot. 698 – Octopus – This is a Legend Primary Spirit (Shield Type) with three slots and the “Throw Power ↑” skill. This Spirit can be Summoned (see my full list of Summonable Spirits). 699 – Chef (Game & Watch) – This is an Ace Support Spirit with the “Stats ↑↑ after Eating” skill. It takes up two slots. This Spirit can be Summoned (see my full list of Summonable Spirits). 700 – Turtle Bridge – This is a Novice Support Spirit with the “Green Shell Equipped” skill. 701 – Fire Attack – This is a Novice Primary Spirit (Shield Type) with one slot and the “Fire Attack ↑” skill. 702 – Oil Panic – This is an Advanced Support Spirit with the “Sticky-Floor Immunity” skill. It takes up two slots. 703 – Pit – This is a Fighter Spirit. 704 – Dark Pit – This is a Fighter Spirit. 705 – Palutena – This is a Fighter Spirit. 706 – Pit (Original) – this is an Ace Primary Spirit (Grab Type) with three slots and the “Jump ↓” skill. This Spirit can be Summoned (see my full list of Summonable Spirits). 707 – Centurion – This is a Novice Support Spirit with the “Staff Equipped” skill. It takes up one slot. 708 – Three Sacred Treasures – This is an Ace Primary Spirit (Balanced Type) with three slots and the Shooting Items Power ↑” skill. 709 – Daybreak – This is an Advanced Support Spirit with the “Shooting Items ↑” skill. It takes up one slot. 710 – Medusa – This is an Advanced Primary Spirit (Attack Type) with two slots. It can be Enhanced at level 99 to become Medusa (Kid Icarus: Uprising) (see my full list of Enhanceable Spirits). 711 – Medusa (Kid Icarus: Uprising) – This is a Legend Primary Spirit (Attack Type) with two slots and the “Giant” skill. Enhanced from Medusa (see my full list of Enhanceable Spirits). 712 – Twinbellows – This is an Advanced Support Spirit with the “Mouthful of Curry” skill. It takes up two slots. This Spirit can be Summoned (see my full list of Summonable Spirits). 713 – Hewdraw – This is an Advanced Primary Spirit (Shield Type) with three slots and the “Jump ↑” skill. This Spirit can be Summoned (see my full list of Summonable Spirits). 714 – Pandora – This is an Advanced Primary Spirit (Grab Type) with two slots. It can be Enhanced at level 99 to become Amazon Pandora (see my full list of Enhanceable Spirits). 715 – Amazon Pandora – This is an Ace Primary Spirit (Grab Type) with two slots and the “Easier Dodging” skill. Enhanced from Pandora (see my full list of Enhanceable Spirits). 716 – Thanatos – This is an Advanced Primary Spirit (Shield Type) with two slots and no skills. 717 – Hades – This is an Ace Primary Spirit (Shield Type) with two slots. It can be Enhanced at level 99 to become Hades (Final Form) (see my full list of Enhanceable Spirits). 718 – Hades (Final Form) – This is a Legend Primary Spirit (Shield Type) with two slots and the “Trade-Off Attacks ↑” skill. Enhanced from Hades (see my full list of Enhanceable Spirits). 719 – Specknose – This is a Novice Primary Spirit (Balanced Type) with two slots and no skills. 720 – Reaper & Reapette – This is an Ace Support Spirit with the “Side Special ↑” skill. It takes up one slot. This Spirit can be Summoned (see my full list of Summonable Spirits). 721 – Eggplant Wizard – This is an Ace Support Spirit with the “KOs Heal Damage” skill. It takes up two slots. This Spirit can be Summoned (see my full list of Summonable Spirits). 722 – Pseudo-Palutena – This is a Novice Support Spirit with the “Transformation Duration ↑” skill. It takes up one slot. 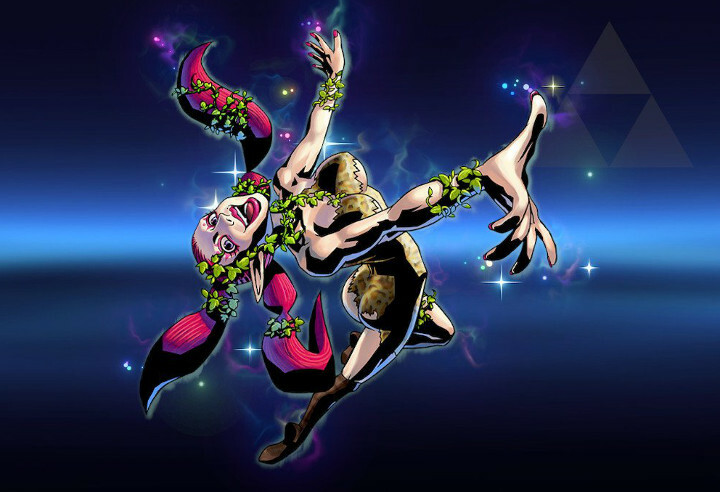 723 – Viridi – This is a Legend Support Spirit with the “Metal Killer” skill. It takes up one slot. This Spirit can be Summoned (see my full list of Summonable Spirits). 724 – Phosphora – This is an Ace Support Spirit with the “Zap-Floor Immunity” skill. It takes up two slots. This Spirit can be Summoned (see my full list of Summonable Spirits). 725 – Lurchthorn – This is a Novice Primary Spirit (Shield Type) with one slot and no skills. 726 – Magnus – This is an Advanced Primary Spirit (Attack Type) with two slots and the “Sword Attack ↑” skill. 727 – Dyntos – This is a Master Spirit. Dyntos unlocks the Dojo where your Spirits can learn Equipment Style. 728 – Mimicutie – This is a Novice Support Spirit with the “Foot Attack ↑” skill. It takes up one slot. 729 – Wario – This is a Fighter Spirit. 730 – Wario (Overalls) – This is a Fighter Spirit. 731 – Jimmy T – This is an Ace Primary Spirit (Shield Type) with two slots and no skills. This Spirit can be Summoned (see my full list of Summonable Spirits). 732 – Mona – This is an Ace Support Spirit with the “Down Special ↑” skill. This Spirit can be Summoned (see my full list of Summonable Spirits). 733 – 9-Volt & 18-Volt – This is an Ace Support Spirit with the “Zap-Floor Immunity” skill. It takes up two slots. 734 – Dribble & Spitz – This is an Advanced Support Spirit with the “Battering Items ↑” skill. It takes up one slot. 735 – Kat & Ana – This is a Master Spirit. The Kat & Ana Spirit unlocks the Dojo where your Spirits can learn Ninja Style. 736 – Dr. Crygor – This is an Advanced Primary Spirit (Grab Type) with two slots and the “Electric Attack ↑” skill. 737 – Orbulon – This is an Advanced Support Spirit with the “Irreversible Controls” skill. It takes up two slots. 738 – Wario-Man – This is a Legend Primary Spirit (Attack Type) with three slots and no skills. 739 – Ashley – This is a Legend Support Spirit with the “Fast Final Smash Meter” skill. It takes up two slots. This Spirit can be Summoned (see my full list of Summonable Spirits). 740 – Young Cricket – This is a Novice Support Spirit with the “Aura Attack ↑” skill. It takes up one slot. 741 – 5-Volt – This is an Advanced Primary Spirit (Balanced Type) with three slots. It can be Enhanced at level 99 to become 5-Volt (Angry) (see my full list of Enhanceable Spirits). 742 – 5-Volt (Angry) – This is an Ace Primary Spirit (Balanced Type) with three slots and the “Critical-Health Attack ↑” skill. Enhanced from 5-Volt (see my full list of Enhanceable Spirits). 743 – Pyoro – This is an Advanced Support Spirit with the “Mr. Saturn Equipped” skill. It takes up one slot. 744 – Fronks – This is a Novice Support Spirit with the “Improved Escape” skill. It takes up one slot. 745 – Captain Syrup – This is an Advanced Primary Spirit (Grab Type)with three slots and no skills. 746 – Princess Shokora – This is a Novice Support Spirit with the “Super Leaf Equipped” skill. It takes up one slot. 747 – Count Cannoli – This is a Novice Primary Spirit (Attack Type) with two slots and the “Magic Attack ↑” skill. 748 – Shake King – This is a Novice Primary Spirit (Grab Type) with one slot and the “Throw Power ↑” skill. 749 – Solid Snake – This is a Fighter Spirit. 750 – Liquid Snake – This is a Legend Primary Spirit (Grab Type) with one slot and no skills. 751 – Gray Fox – This is an Ace Primary Spirit (Attack Type) with three slots and no skills. This Spirit can be Summoned (see my full list of Summonable Spirits). 752 – Hal Emmerich – This is an Advanced Support Spirit with the “Beam Sword Equipped” skill. It takes up one slot. 753 – Roy Campbell – This is an Advanced Support Spirit with the “Irreversible Controls” skill. It takes up twp slots. 754 – Meryl Silverburgh – This is a Novice Primary Spirit (Balanced Type) with two slots and no skills. 755 – Mei Ling – This is a Novice Support Spirit with the “Energy-Shot Resist ↑” skill. It takes up one slot. 756 – Solidus Snake – This is an Advanced Primary Spirit (Grab Type) with two slots and no skills. 757 – Rosemary – This is a Novice Support Spirit with the “Energy-Shot Attack ↑” skill. It takes up one slot. 759 – Big Boss – This is a Legend Primary Spirit (Grab Type) with two slots and the “Metal Killer” skill. Enhanced from 5-Volt (see my full list of Enhanceable Spirits). 760 – The Boss – This is a Legend Primary Spirit (Grab Type) with three slots and the “Throw Power ↑” skill. 761 – EVA – This is an Advanced Support Spirit with the “Ray Gun Equipped” skill. It takes up one slot. 763 – Revolver Ocelot (Metal Gear Solid V) – This is an Ace Primary Spirit (Grab Type) with two slots and the “Shooting Attack ↑” skill. Enhanced from Revolver Ocelot (Metal Gear Solid 3) (see my full list of Enhanceable Spirits). 764 – Zero (Metal Gear Solid 3) – This is an Advanced Support Spirit with the “Super Scope Equipped” skill. It takes up two slots. 765 – Raiden – This is a Legend Primary Spirit (Attack Type) with two slots and no skills. This Spirit can be Summoned (see my full list of Summonable Spirits). 766 – Kazuhira Miller – This is an Ace Support Spirit with the “Trade-Off Ability ↑” skill. It takes up one slot. 767 – Paz Ortega Andrade – This is an Advanced Support Spirit with the “Bob-omb Equipped” skill. It takes up one slot. 768 – Strangelove – This is a Novice Support Spirit with the “Rage Blaster Equipped” skill. It takes up one slot. 769 – Metal Gear REX – This is an Ace Primary Spirit (Shield Type) with three slots and the “Speed ↓” skill. This Spirit can be Summoned (see my full list of Summonable Spirits). 770 – Metal Gear RAY – This is an Advanced Primary Spirit (Grab Type) with three slots and the “Weight ↑” skill. 771 – Gekko – This is an Advanced Support Spirit with the “Jump ↑” skill. It takes up one slot. 773 – Sahelanthropus – This is an Ace Primary Spirit (Shield Type) with one slot and the “Metal and Giant” skill. Enhanced from Metal Gear ZEKE (see my full list of Enhanceable Spirits). 774 – Cardboard Box – This is a Novice Support Spirit with the “Improved Escape” skill. It takes up one slot. 775 – Sonic the Hedgehog – This is a Fighter Spirit. 776 – Dr. Eggman – This is a Legend Primary Spirit (Grab Type) with three slots and the “Electric Attack ↑” skill. This Spirit can be Summoned (see my full list of Summonable Spirits). 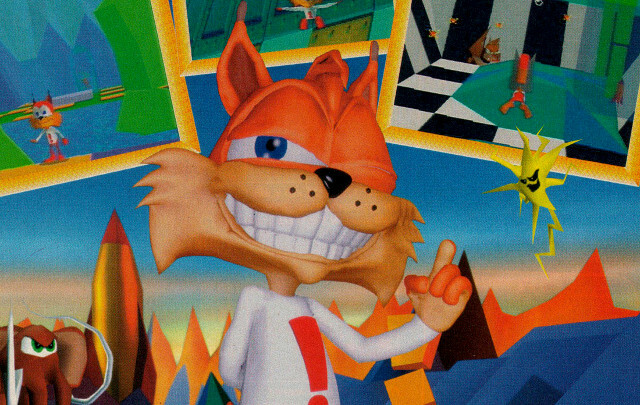 777 – Tails – This is an Ace Support Spirit with the “Up Special ↑” skill. It takes up one slot. This Spirit can be Summoned (see my full list of Summonable Spirits). 778 – Super Sonic – This is a Legend Primary Spirit (Grab Type) with three slots and the “Speed ↑” skill. 779 – Amy – This is an Ace Support Spirit with the “Shield Damage ↑” skill. It takes up one slot. 780 – Metal Sonic – This is an Advanced Primary Spirit (Shield Type) with one slot and the “Speed ↑” skill. 781 – Knuckles – This is an Ace Primary Spirit (Grab Type) with two slots and the “Fist Attack ↑” skill. This Spirit can be Summoned (see my full list of Summonable Spirits). 782 – Chaotix – This is a Novice Primary Spirit (Grab Type) with three slots and no skills. 783 – Big the Cat – This is a Novice Primary Spirit (Balanced Type) with two slots and the “Weight ↑” skill. 784 – Gamma – This is a Novice Primary Spirit (Grab Type) with one slot and no skills. 785 – Chaos – This is an Advanced Primary Spirit (Grab Type) with one slot and the “Water Attack ↑” skill. 787 – Hero Chao – This is an Ace Primary Spirit (Shield Type) with two slots and the “Fast Final Smash Meter” skill. Enhanced from Chao (see my full list of Enhanceable Spirits). 789 – Super Shadow – This is a Legend Primary Spirit (Attack Type) with two slots and the “Undamaged Attack & Speed ↑” skill. Enhanced from Shadow the Hedgehog (see my full list of Enhanceable Spirits). 790 – Rouge the Bat – This is an Advanced Support Spirit with the “Air Attack ↑” skill. It takes up one slot. 791 – Cream & Cheese – This is an Advanced Support Spirit with the “Jump ↑” skill. It takes up one slot. 792 – Omega – This is a Novice Primary Spirit (Shield Type) with one slot and no skills. 793 – Blaze the Cat – This is an Advanced Support Spirit with the “Mouthful of Curry” skill. It takes up one slot. 794 – Jet the Hawk – This is an Advanced Support Spirit with the “Move Speed ↑” skill. It takes up one slot. This Spirit can be Summoned (see my full list of Summonable Spirits). 795 – Silver the Hedgehog – This is an Advanced Support Spirit with the “Strong Throw” skill. It takes up one slot. 796 – Sonic the Werehog – This is an Advanced Support Spirit with the “Physical Attack ↑” skill. It takes up one slot. This Spirit can be Summoned (see my full list of Summonable Spirits). 797 – Infinite – This is an Advanced Primary Spirit (Attack Type) with two slots and no skills. 798 – Olimar – This is a Fighter Spirit. 799 – Alph – This is a Fighter Spirit. 800 – Louie – This is an Ace Primary Spirit (Grab Type) with three slots and no skills. This Spirit can be Summoned (see my full list of Summonable Spirits). 801 – Charlie – This is a Master Spirit. Charlie unlocks the Caves, which your Spirits can explore. 802 – Brittany – This is an Ace Support Spirit with the “Gravity-Change Immunity” skill. It takes up two slots. 803 – Red Pikmin – This is an Advanced Support Spirit with the “Lava-Floor Resist” skill. It takes up one slot. 804 – Blue Pikmin – This is an Advanced Support Spirit with the “Thrown Items ↑” skill. It takes up one slot. 805 – Yellow Pikmin – This is an Advanced Support Spirit with the “Energy Shot Attack/Resistance ↑” skill. It takes up two slots. 806 – White Pikmin – This is an Advanced Support Spirit with the “Poison Damage Reduced” skill. It takes up one slot. 807 – Purple Pikmin – This is an Advanced Primary Spirit (Shield Type) with one slot and the “Weight ↑” skill. 808 – Winged Pikmin – This is a Novice Support Spirit with the “Floaty Jumps” skill. It takes up one slot. 809 – Rock Pikmin – This is a Novice Primary Spirit (Grab Type) with one slot and the “Weight ↑” skill. 811 – Empress Bulblax – This is a Legend Primary Spirit (Shield Type) with two slots and the “Stats ↑↑ after Eating” skill. Enhanced from Bulborb (see my full list of Enhanceable Spirits). 812 – Emperor Bulblax – This is an Ace Support Spirit with the “Ice-Floor Immunity” skill. It takes up two slots. 813 – Burrowing Snagret – This is an Ace Primary Spirit (Attack Type) with two slots and the “Speed ↓” skill. This Spirit can be Summoned (see my full list of Summonable Spirits). 814 – Plasm Wraith – This is an Ace Primary Spirit (Balanced Type) with three slots and the “Speed ↓” skill. This Spirit can be Summoned (see my full list of Summonable Spirits). 815 – Fiery Blowhog – This is a Novice Primary Spirit with one slot and the “Fire Attack ↑” skill. 816 – Smoky Progg – This is a Novice Support Spirit with the “Unira Equipped” skill. It takes up one slot. 817 – Swooping Snitchbug – This is a Novice Support Spirit with the “Landing Lag ↓” skill. It takes up one slot. 818 – Iridescent Glint Beetle – This is an Advanced Support Spirit with the “Sticky-Floor Immunity” skill. It takes up two slots. 819 – Yellow Wollywog – This is an Advanced Support Spirit with the “Strong-Wind Resist” skill. It takes up one slot. 820 – Peckish Aristocrab – This is an Advanced Primary Spirit (Shield Type) with two slots and the “Electric Weakness” skill. 821 – Mockiwi – This is a Novice Primary Spirit (Shield Type) with two slots and no skills. 822 – R.O.B. – This is a Fighter Spirit. 823 – Stack-up – This is an Advanced Support Spirit with the “Falling Immunity” skill. It takes up one slot. 824 – Gyromite – This is an Advanced Support Spirit with the “Back Shield Equipped” skill. It takes up one slot. 825 – Villager (Boy) – This is a Fighter Spirit. 826 – Villager (Girl) – This is a Fighter Spirit. 827 – Isabelle – This is a Fighter Spirit. 829 – Tom Nook (Nookington’s) – This is an Ace Primary Spirit (Balanced Type) with three slots and the “Item Gravitation” skill. Enhanced from Bulborb (see my full list of Enhanceable Spirits). 830 – Timmy & Tommy – This is a Master Spirit. The Timmy & Tommy Spirit unlocks Timmy and Tommy’s, which is a shop. 832 – K.K. Slider – This is an Ace Primary Spirit (Balanced Type) with three slots and the “Running Start” skill. Enhanced from DJ K.K. (see my full list of Enhanceable Spirits). 833 – Resetti – This is an Ace Primary Spirit (Grab Type) with two slots and the “Jump ↓” skill. This Spirit can be Summoned (see my full list of Summonable Spirits). 834 – Don – This is an Advanced Primary Spirit (Shield Type) with two slots and the “Speed ↓” skill. 835 – Rover – This is an Ace Support Spirit with the “Ice-Floor Immunity” skill. It takes up two slots. 836 – Redd – This is an Advanced Support Spirit with the “Trade-Off Defense ↑” skill. It takes up one slot. 837 – Gracie – This is an Advanced Support Spirit with the “Super Launch Star Equipped” skill. It takes up one slot. 838 – Gulliver – This is an Advanced Primary Spirit (Grab Type) with one slot and the “Jump ↑” skill. 839 – Pete – This is an Ace Support Spirit with the “Strong-Wind Immunity” skill. It takes up two slots. This Spirit can be Summoned (see my full list of Summonable Spirits). 840 – Phyllis & Pelly – This is an Advanced Support Spirit with the “Back Shield Equipped” skill. It takes up one slot. This Spirit can be Summoned (see my full list of Summonable Spirits). 841 – Cooper & Booker – This is a Master Spirit. The Cooper & Booker Spirit unlocks the Dojo where your Spirits can learn Brick-Wall Style. 842 – Joan – This is an Advanced Support Spirit with the “Stats ↑ after Eating” skill. It takes up one slot. 843 – Katrina – This is an Advanced Support Spirit with the “Irreversible Controls” skill. It takes up two slots. 844 – Lloid – This is a Novice Primary Spirit (Shield Type) with two slots and the “Speed ↓” skill. 845 – Tortimer – This is an Ace Support Spirit with the “Critical Health Stats ↑↑” skill. It takes up two slots. This Spirit can be Summoned (see my full list of Summonable Spirits). 846 – Kapp’n – This is an Ace Support Spirit with the “Easier Dodging” skill. It takes up one slot. 847 – Kapp’n (Wild World) – This is an Advanced Support Spirit with the “Dash Attack ↑” skill. It takes up one slot. 848 – Able Sisters – This is an Ace Support Spirit with the “Shield Durability ↑” skill. It takes up one slot. 849 – Blathers – This is an Ace Support Spirit with the “Black Hole Equipped” skill. It takes up two slots. This Spirit can be Summoned (see my full list of Summonable Spirits). 850 – Celeste – This is an Advanced Support Spirit with the “Item Gravitation” skill. It takes up one slot. 851 – Harriet – This is an Advanced Support Spirit with the “Weapon Attack ↑” skill. It takes up one slot. 852 – Brewster – This is an Ace Support Spirit with the “Slumber Immunity” skill. It takes up one slot. 853 – Lyle – This is a Novice Support Spirit with the “Green Shell Equipped” skill. It takes up one slot. 854 – Kaitlin & Katie – This is an Advanced Support Spirit with the “Fog Immunity” skill. It takes up two slots. 855 – Dr. Shrunk – This is an Advanced Support Spirit with the “Falling Immunity” skill. It takes up one slot. 856 – Frillard – This is a Novice Support Spirit with the “Braking Ability ↑” skill. It takes up one slot. 857 – Kicks – This is an Advanced Support Spirit with the “Sticky-Floor Immunity” skill. It takes up two slots. 858 – Zipper T. Bunny – This is a Novice Primary Spirit (Grab Type) with one slot and the “Jump ↑” skill. 859 – Serena – This is a Novice Support Spirit with the “Star Rod Equipped” skill. It takes up one slot. 860 – Cyrus & Reese – This is an Ace Support Spirit with the “Ore Club Equipped” skill. It takes up three slots. 861 – Leif (Animal Crossing) – This is an Advanced Support Spirit with the “Bury Immunity” skill. It takes up one slot. 862 – Digby – This is an Advanced Primary Spirit (Balanced Type) with three slots and the “Battering Items Power ↑” skill. 863 – Lottie – This is a Novice Primary Spirit (Grab Type) with one slot and no skills. 864 – Mega Man – This is a Fighter Spirit. 865 – Proto Man – This is a Legend Primary Spirit (Shield Type) with three slots and no skills. This Spirit can be Summoned (see my full list of Summonable Spirits). 866 – Bass – This is an Ace Primary Spirit (Attack Type) with three slots and no skills. 867 – Dr. Light – This is an Ace Support Spirit with the “Zap-Floor Immunity” skill. It takes up two slots. 868 – Roll – This is an Ace Support Spirit with the “Autoheal” skill. It takes up two slots. 869 – Rush – This is an Ace Support Spirit with the “Up Special ↑” skill. It takes up one slot. This Spirit can be Summoned (see my full list of Summonable Spirits). 870 – Beat – This is an Advanced Support Spirit with the “Air Attack ↑” skill. It takes up one slot. 871 – Auto – This is an Advanced Support Spirit with the “Super Scope Equipped” skill. It takes up two slots. 872 – Duo – This is an Advanced Primary Spirit (Shield Type) with one slot and the “Fist Attack ↑” skill. 873 – Dr. Wily – This is a Legend Support Spirit with the “Jam FS Charge” skill. It takes up two slots. 874 – Wily Capsule – This is an Ace Primary Spirit (Grab Type) with three slots and no skills. 875 – Mettaur – This is a Novice Primary Spirit (Shield Type) with one slot and the “Jump ↓” skill. 876 – Cut Man – This is an Advanced Primary Spirit (Grab Type) with two slots and no skills. 877 – Guts Man – This is an Advanced Primary Spirit (Grab Type) with one slot and no skills. 878 – Ice Man – This is an Advanced Support Spirit with the “Lava-Floor Resist” skill. It takes up one slot. 879 – Bomb Man – This is an Advanced Support Spirit with the “Bob-omb Equipped” skill. It takes up one slot. 880 – Fire Man – This is an Advanced Primary Spirit (Attack Type) with two slots and the “Water Weakness” skill. 881 – Elec Man – This is an Advanced Primary Spirit (Grab Type) with two slots and the “Electric Attack ↑” skill. 882 – Yellow Devil – This is an Ace Primary Spirit (Balanced Type) with one slot and the “Speed ↓” skill. This Spirit can be Summoned (see my full list of Summonable Spirits). 883 – Metal Man – This is an Advanced Primary Spirit (Grab Type) with two slots and no skills. 884 – Air Man – This is an Advanced Support Spirit with the “Fog Immunity” skill. It takes up two slots. 885 – Quick Man – This is an Advanced Support Spirit with the “Move Speed ↑” skill. It takes up one slot. 886 – Crash Man – This is an Advanced Support Spirit with the “Bomber Equipped” skill. It takes up one slot. 887 – Flash Man – This is an Advanced Support Spirit with the “Screen-Flip Immunity” skill. It takes up two slots. 888 – Wood Man – This is an Advanced Primary Spirit (Shield Type) with two slots and the “Fire Weakness” skill. 889 – Hard Man – This is an Advanced Support Spirit with the “Weapon Attack ↑” skill. It takes up one slot. 890 – Top Man – This is a Novice Support Spirit with the “Screw Attack Equipped” skill. It takes up two slots. 891 – Snake Man – This is a Novice Primary Spirit (Grab Type) with one slot and no skills. 892 – Spark Man – This is an Advanced Support Spirit with the “Energy Shot Attack/Resistance ↑” skill. It takes up two slots. 893 – Shadow Man – This is an Advanced Support Spirit with the “Killing Edge Equipped” skill. It takes up one slot. 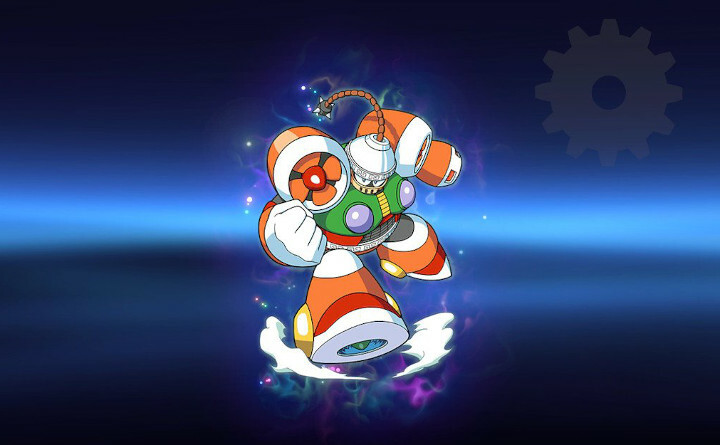 894 – Drill Man – This is a Novice Support Spirit with the “Drill Equipped” skill. It takes up one slot. 895 – Dive Man – This is a Novice Support Spirit with the “Steel Diver Equipped” skill. It takes up two slots. 896 – Skull Man – This is an Advanced Primary Spirit (Shield Type) with two slots and no skills. 897 – Gravity Man – This is a Master Spirit. Gravity Man unlocks the Dojo where your Spirits can learn Gravity Style. 898 – Napalm Man – This is a Novice Primary Spirit (Attack Type) with one slot and no skills. 899 – Dark Man 4 – This is a Novice Support Spirit with the “Rage Blaster Equipped” skill. It takes up one slot. 900 – Knight Man – This is a Novice Primary Spirit (Shield Type) with two slots and no skills. 901 – Wind Man – This is a Novice Support Spirit with the “Instadrop” skill. It takes up two slots. 902 – Slash Man – This is a Novice Primary Spirit (Attack Type) with one slot and no skills. 903 – Sword Man – This is a Novice Support Spirit with the “Fire Bar Equipped” skill. It takes up one slot. 904 – Galaxy Man – This is a Novice Support Spirit with the “Energy-Shot Resist ↑” skill. It takes up one slot. 906 – Full Armor X – This is a Legend Primary Spirit (Grab Type) with one slot and the “Super Armor” skill. Enhanced from X (see my full list of Enhanceable Spirits). 908 – Zero (Z-Saber) – This is a Legend Primary Spirit (Attack Type) with two slots and the “Weapon Attack & Move Speed ↑” skill. Enhanced from Zero (Zero Buster) (see my full list of Enhanceable Spirits). 909 – Axl – This is an Advanced Support Spirit with the “Ray Gun Equipped” skill. It takes up one slot. 910 – Sigma – This is an Ace Primary Spirit (Attack Type) with three slots and no skills. 911 – MegaMan Volnutt – This is an Ace Primary Spirit (Grab Type) with three slots and no skills. 912 – Roll Caskett – This is an Advanced Support Spirit with the “Shooting Attack ↑” skill. It takes up one slot. 913 – Tron Bonne – This is an Advanced Primary Spirit (Grab Type) with three slots and no skills. 914 – MegaMan.EXE – This is a Legend Primary Spirit (Grab Type) with three slots and no skills. 915 – ProtoMan.EXE – This is an Ace Primary Spirit (Shield Type) with two slots and the “Sword Attack ↑” skill. 917 – Star Force Mega Man – This is an Ace Primary Spirit (Balanced Type) with three slots and the “Shooting Items ↑” skill. Enhanced from Geo Stelar & Omega-Xis (see my full list of Enhanceable Spirits). 918 – Mega Man Zero – This is an Ace Primary Spirit (Attack Type) with two slots and the “Sword Attack ↑” skill. 920 – Model ZX – This is an Advanced Primary Spirit (Grab Type) with three slots and the “Transformation Duration ↑” skill. Enhanced from Model X (see my full list of Enhanceable Spirits). 921 – Wii Fit Trainer (Female) – This is a Fighter Spirit. 922 – Wii Fit Trainer (Male) – This is a Fighter Spirit. 923 – Wii Balance Board – This is a Master Spirit. Wii Balance Board unlocks the Dojo where your Spirits can learn Lightweight Style. 924 – Pet – This is a Novice Primary Spirit (Balanced Type) with two slots and no skills. 925 – Jackknife – This is a Novice Support Spirit with the “Foot Attack ↑” skill. It takes up one slot. 926 – Deep Breathing – This is an Ace Support Spirit with the “Down Special ↑” skill. It takes up one slot. 927 – Sun Salutation – This is an Ace Support Spirit with the “Ice-Floor Immunity” skill. It takes up two slots. 928 – Tree – This is an Ace Support Spirit with the “Unflinching Charged Smashes” skill. It takes up two slots. This Spirit can be Summoned (see my full list of Summonable Spirits). 929 – Dancer – This is a Novice Support Spirit with the “Lightweight” skill. It takes up one slot. 930 – Warrior – This is an Advanced Support Spirit with the “Physical Attack ↑” skill. It takes up one slot. This Spirit can be Summoned (see my full list of Summonable Spirits. 931 – Arm & Leg Lift – This is an Advanced Support Spirit with the “Falling Immunity” skill. It takes up one slot. 932 – Little Mac – This is a Fighter Spirit. 933 – Giga Mac – This is a Legend Primary Spirit (Attack Type) with three slots and the “Fist Attack ↑” skill. 934 – Doc Louis – This is a Master Spirit. Doc Louis unlocks the Gym. 935 – Glass Joe – This is a Novice Primary Spirit (Balanced Type) with two slots and the “Initial Damage 30%” skill. 936 – Bald Bull – This is an Advanced Support Spirit with the “Trade-Off Defense ↑” skill. It takes up one slot. 937 – Mr. Sandman – This is an Ace Primary Spirit (Attack Type) with two slots and the “Fist Attack ↑” skill. 938 – Bear Hugger – This is an Advanced Primary Spirit (Grab Type) with two slots and the “Speed ↓” skill. 939 – Great Tiger – This is an Advanced Primary Spirit (Shield Type) with two slots and the “Fist Attack ↑” skill. 940 – Super Macho Man – This is a Legend Primary Spirit (Grab Type) with three slots and the “Fist Attack ↑” skill. This Spirit can be Summoned (see my full list of Summonable Spirits). 941 – Von Kaiser – This is a Novice Primary Spirit (Attack Type) with one slot and the “Fist Attack ↑” skill. 942 – Don Flamenco – This is an Advanced Primary Spirit (Attack Type) with two slots and the “Weight ↓” skill. 943 – King Hippo – This is an Ace Support Spirit with the “Shield Durability ↑” skill. It takes up one slot. 944 – Soda Popinski – This is an Ace Support Spirit with the “Side Special ↑” skill. It takes up one slot. 945 – Piston Hondo – This is a Novice Support Spirit with the “Fist Attack ↑” skill. It takes up one slot. 946 – PAC-MAN – This is a Fighter Spirit. 947 – Mother Fairy – This is an Ace Support Spirit with the “Critical-Health Stats ↑↑” skill. It takes up two slots. This Spirit can be Summoned (see my full list of Summonable Spirits). 948 – Ghosts – This is an Advanced Primary Spirit (Shield Type) with three slots and no skills. 949 – TURN-TO-BLUE – This is a Novice Support Spirit with the “Trade-Off Speed ↑” skill. It takes up one slot. 950 – Bonus Fruit – This is a Novice Support Spirit with the “Stamina ↑” skill. It takes up one slot. 951 – Shulk – This is a Fighter Spirit. 952 – Fiora – This is an Ace Support Spirit with the “Made of Metal” skill. It takes up one slot. 953 – Mecha-Fiora – This is a Legend Primary Spirit (Balanced Type) with three slots and the “Jump ↑” skill. 954 – Reyn – This is an Advanced Primary Spirit (Grab Type) with one slot and no skills. 955 – Sharla – This is an Advanced Support Spirit with the “Ray Gun Equipped” skill. It takes up one slot. 956 – Dunban – This is an Ace Primary Spirit (Shield Type) with two slots and the “Sword Attack ↑” skill. This Spirit can be Summoned (see my full list of Summonable Spirits). 957 – Melia – This is an Advanced Primary Spirit (Balanced Type) with three slots and the “Magic Attack ↑” skill. 958 – Riki – This is a Master Spirit. Riki unlocks the Dojo where your Spirits can learn Strategist Style. 960 – Metal Face – This is a Legend Primary Spirit (Attack Type) with one slot and the “Metal and Giant” skill. Enhanced from Mumkhar (see my full list of Enhanceable Spirits). 961 – Elma – This is an Ace Primary Spirit (Attack Type) with two slots and no skills. 962 – Lin – This is a Novice Support Spirit with the “Energy-Shot Resist ↑” skill. It takes up one slot. 963 – Lao – This is a Novice Primary Spirit (Grab Type) with one slot and no skills. 964 – Tatsu – This is a Novice Support Spirit with the “Energy-Shot Attack ↑” skill. It takes up one slot. 965 – Formula – This is an Advanced Support Spirit with the “Super Scope Equipped” skill. It takes up two slots. This Spirit can be Summoned (see my full list of Summonable Spirits). 966 – Rex – This is an Ace Primary Spirit (Shield Type) with three slots and no skills. 967 – Pyra – This is a Legend Support Spirit with the Assist Killer” skill. It takes up one slot. 968 – Mythra – This is a Legend Support Spirit with the “Critical Hit ↑↑” skill. It takes up one slot. 969 – Nia – This is an ace Primary Spirit (Shield Type) with two slots and the “Water Attack ↑” skill. 970 – Tora – This is an Advanced Primary Spirit (Shield Type) with three slots and no skills. 971 – Poppi α – This is an Advanced Support Spirit with the “Shooting Attack ↑” skill. It takes up one slot. This Spirit can be Summoned (see my full list of Summonable Spirits). 972 – Mòrag – This is a Novice Primary Spirit (Attack Type) with one slot and the “Fire Attack ↑” skill. 973 – Zeke – This is a Novice Primary Spirit (Attack Type) with one slot and no skills. 974 – Duck Hunt – This is a Fighter Spirit. 975 – Wild Gunman – This is an Advanced Primary Spirit (Attack Type) with three slots and no skills. 976 – Gangster, Lady, & Policeman – This is a Novice Support Spirit with the “Rage Blaster Equipped” skill. It takes up one slot. 977- Ryu – This is a Fighter Spirit. 978 – Ken – This is a Fighter Spirit. 979 – E. Honda – This is an Advanced Support Spirit with the “Strong Throw” skill. It takes up one slot. This Spirit can be Summoned (see my full list of Summonable Spirits). 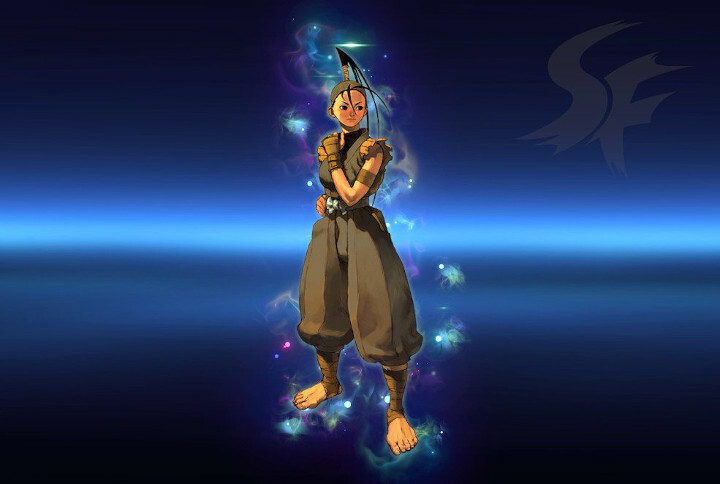 981 – Chun-Li – This is an Ace Primary Spirit (Grab Type) with three slots and the “Physical Attack ↑” skill. Enhanced from Chun-Li (Street Fighter Alpha) (see my full list of Enhanceable Spirits). 982 – Blanka – This is an Advanced Primary Spirit (Shield Type) with one slot and the “Electric Attack ↑” skill. 983 – Zangief – This is a Master Spirit. Zangief unlocks the Dojo where your Spirits can learn Overthrow Style. 984 – Guile – This is a Legend Primary Spirit (Shield Type) with two slots and the “Foot Attack ↑” skill. This Spirit can be Summoned (see my full list of Summonable Spirits). 985 – Dhalsim – This is an Ace Support Spirit with the “Lava-Floor Immunity” skill. It takes up two slots. This Spirit can be Summoned (see my full list of Summonable Spirits). 986 – Balrog – This is an Ace Support Spirit with the “Neutral Special ↑” skill. It takes up one slot. 987 – Vega – This is an Ace Primary Spirit (Attack Type) with two slots and the “Weight ↓” skill. 988 – Sagat – This is an Ace Primary Spirit (Shield Type) with two slots and the “Fist Attack ↑” skill. 989 – M. Bison – This is a Legend Primary Spirit (Grab Type) with three slots and the “PSI Attack ↑” skill. This Spirit can be Summoned (see my full list of Summonable Spirits). 990 – Cammy – This is an Ace Primary Spirit (Balanced Type) with three slots and the “Foot Attack ↑” skill. 991 – Fei Long – This is a Novice Support Spirit with the “Fist Attack ↑” skill. It takes up one slot. 992 – Dee Jay – This is a Novice Primary Spirit (Grab Type) with one slot and no skills. 993 – T. Hawk – This is a Novice Primary Spirit (Grab Type) with one slot and no skills. 994 – Akuma – This is a Legend Primary Spirit (Attack Type) with no slots and no skills. 995 – Nash – This is an Advanced Support Spirit “Death’s Scythe Equipped” skill. It takes up one slot. 996 – Dan – This is a Novice Primary Spirit (Balanced Type) with three slots and the “Initial Damage 30%” skill. 997 – Sakura (Street Fighter) – This is an Ace Primary Spirit (Attack Type) with three slots and no skills. 998 – Gen – This is an Advanced Primary Spirit (Balanced Type) with two slots and the “Fist Attack ↑” skill. 999 – Karin – This is an Advanced Primary Spirit (Grab Type) with two slots and the “Throw Power ↑” skill. 1000 – Cody – This is a Novice Primary Spirit (Grab Type) with one slot and the “Throw Power ↑” skill. 1001 – Ibuki – This is an Advanced Support Spirit with the “Move Speed ↑” skill. It takes up one slot. This Spirit can be Summoned (see my full list of Summonable Spirits). 1002 – Yun & Yang – This is an Advanced Primary Spirit (Balanced Type) with three slots and no skills. This Spirit can be Summoned (see my full list of Summonable Spirits). 1003 – Juri – This is an Advanced Support Spirit with the “Poison Damage Reduced” skill. It takes up one slot. 1004 – Cloud – This is a Fighter Spirit. 1005 – Cloud (Advent Children) – This is a Fighter Spirit. 1006 – Bayonetta (Bayonetta 2) – This is a Fighter Spirit. 1007 – Bayonetta (Bayonetta) – This is a Fighter Spirit. 1008 – Gomorrah – This an an Advanced Primary Spirit with no slots and no skills. 1009 – Madama Butterfly – This is a Legend Support Spirit with the “Poison Heals” skill. It takes up three slots. This Spirit can be Summoned (see my full list of Summonable Spirits). 1011 – Cutie J – This is a Legend Primary Spirit (Attack Type) with two slots and the “Easier Dodging” skill. Enhanced from Jeanne (see my full list of Enhanceable Spirits). 1013 – Rodin, the Infinite One – This is a Legend Primary Spirit (Attack Type) with three slots and the “Critical-Health Attack ↑” skill. Enhanced from Rodin (see my full list of Enhanceable Spirits). 1014 – Luka – This is an Advanced Support Spirit with the “Thrown Items ↑” skill. It takes up one slot. 1015 – Cereza – This is a Novice Support Spirit with the “Bunny Hood Equipped” skill. It takes up one slot. 1016 – Loki – This is an Ace Support Spirit with the “Black Hole Equipped” skill. It takes up two slots. 1018 – Father Balder – This is an Ace Primary Spirit (Shield Type) with two slots and the “Franklin Badge Equipped” skill. Enhanced from Balder (see my full list of Enhanceable Spirits). 1019 – Masked Lumen – This is an Advanced Primary Spirit (Shield Type) with two slots and the “Magic Attack ↑” skill. 1020 – Prophet – This is an Advanced Primary Spirit (Shield Type) with two slots and the “Magic Attack ↑” skill. 1021 – Affinity – This is a Novice Primary Spirit (Balanced Type) with two slots and no skills. 1022 – Inspired – This is a Novice Primary Spirit (Grab Type) with one slot and no skills. 1023 – Fortitudo – This is an Advanced Primary Spirit (Balanced Type) with three slots and no skills. 1024 – Alraune – This is a Novice Support Spirit with the “Fire Flower Equipped” skill. It takes up one slot. 1025 – Inkling (Girl) – This is a Fighter Spirit. 1026 – Inkling (Boy) – This is a Fighter Spirit. 1027 – Inkling Squid – This is an Ace Support Spirit with the “Up Special ↑” skill. It takes up one slot. This Spirit can be Summoned (see my full list of Summonable Spirits). 1028 – Judd – This is a Legend Support Spirit with the “Double Final Smash” skill. It takes up three slots. This Spirit can be Summoned (see my full list of Summonable Spirits). 1029 – Li’l Judd – This is an Ace Support Spirit with the “Chance of Double Final Smash” skill. It takes up two slots. 1030 – Squid Sisters – This is a Legend Support Spirit with the “Fast Final Smash Meter” skill. It takes up two slots. This Spirit can be Summoned (see my full list of Summonable Spirits). 1031 – Off the Hook – This is an Ace Support Spirit with the “Undamaged Attack & Speed ↑” skill. It takes up one slot. 1032 – Sheldon – This is a Master Spirit. Sheldon unlocks Sheldon’s Place, which is a shop. 1033 – Annie – This is an Advanced Support Spirit with the “Undamaged Attack ↑” skill. It takes up one slot. 1034 – Jelonzo – This is a Novice Support Spirit with the “Water/Freezing Resist ↑” skill. It takes up one slot. 1035 – Crusty Sean – This is an Advanced Support Spirit with the “Stats ↑ after Eating” skill. It takes up one slot. 1036 – Spyke – This is an Advanced Primary Spirit (Shield Type) with three slots and no skills. This Spirit can be Summoned (see my full list of Summonable Spirits). 1037 – Flow – This is an Advanced Support Spirit with the “Back Shield Equipped” skill. It takes up one slot. This Spirit can be Summoned (see my full list of Summonable Spirits). 1038 – Jelfonzo – This is a Novice Support Spirit with the “Bunny Hood Equipped” skill. It takes up one slot. 1039 – Bisk – This is a Novice Support Spirit with the “Foot Attack ↑” skill. It takes up one slot. 1040 – Murch – This is an Advanced Support Spirit with the “Weapon Resist ↑” skill. It takes up one slot. 1041 – Cap’n Cuttlefish – This is a Master Spirit. Cap’n Cuttlefish unlocks the Dojo where your Spirits can learn Land Style. 1042 – Octoling – This is an Advanced Primary Spirit (Shield Type) with one slot and no skills. 1044 – Octobot King – This is an Ace Primary Spirit (Balanced Type) with three slots and the “Made of Metal” skill. Enhanced from Dj Octavio (see my full list of Enhanceable Spirits). 1045 – Zapfish – This is a Novice Support Spirit with the “Electric Attack ↑” skill. It takes up one slot. 1046 – Great Zapfish – This is an Ace Support Spirit with the “Giant” skill. It takes up two slots. 1047 – Octoling Girl & Octoling Boy – This is an Ace Primary Spirit (Attack Type) with two slots and no skills. 1048 – Octoling Octopus – This is an Advanced Support Spirit with the “Ray Gun Equipped” skill. It takes up one slot. 1049 – Super Sea Snail – This is a Novice Support Spirit with the “Unira Equipped” skill. It takes up one slot. 1050 – Simon Belmont – This is a Fighter Spirit. 1051 – Richter Belmont – This is a Fighter Spirit. 1052 – Trevor C. Belmont – This is a Legend Primary Spirit (Shield Type) with three slots and no skills. 1054 – Maria Renard (Symphony of the Night) – This is an Ace Primary Spirit (Grab Type) with two slots and the “Additional Midair Jump” skill. Enhanced from Maria Renard (see my full list of Enhanceable Spirits). 1055 – Alucard – This is a Legend Primary Spirit (Shield Type) with three slots and the “Sword Attack ↑” skill. 1056 – Reinhardt Schneider – This is a Novice Primary Spirit (Balanced Type) with three slots and no skills. 1057 – Nathan Graves – This is an Advanced Primary Spirit (Attack Type) with one slot and no skills. 1058 – Hugh Baldwin – This is a Novice Primary Spirit (Attack Type) with one slot and the “Sword Attack ↑” skill. 1059 – Juste Belmont – This is an Advanced Primary Spirit (Attack Type) with two slots and no skills. 1060 – Yoko Belnades – This is an Advanced Support Spirit with the “Battering Items ↑” skill. It takes up one slot. 1061 – Leon Belmont – This is an Advanced Primary Spirit (Grab Type) with one slot and no skills. 1062 – Julius Belmont – This is an Ace Support Spirit with the “Side Special ↑” skill. It takes up one slot. This Spirit can be Summoned (see my full list of Summonable Spirits). 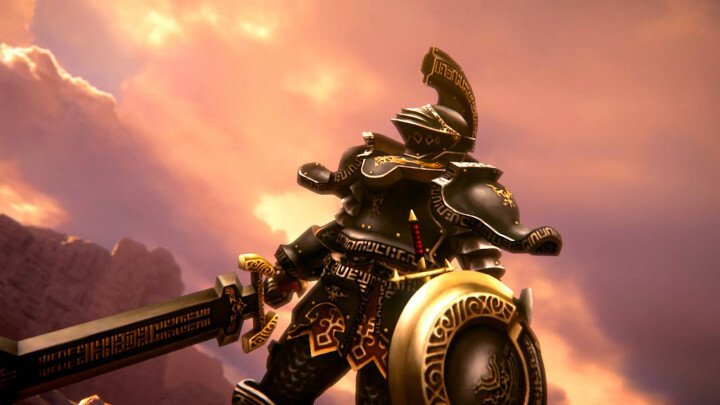 1063 – Hector (Castlevania) – This is an Advanced Support Spirit with the “Death’s Scythe Equipped” skill. It takes up one slot. 1064 – Jonathan Morris – This is an Ace Primary Spirit (Grab Type) with two slots and no skills. 1065 – Charlotte Aulin – This is an Advanced Primary Spirit (Attack Type) with two slots and the “Magic Attack ↑” skill. 1066 – Shanoa – This is an Ace Primary Spirit (Grab Type) with two slots and no skills. 1067 – Gabriel Belmont – This is an Advanced Primary Spirit (Balanced Type) with three slots and no skills. 1068 – Medusa Head – This is an Advanced Support Spirit with the “Air Defense ↑” skill. It takes up one slot. 1069 – Mummy – This is an Advanced Primary Spirit (Grab Type) with one slot and the “Speed ↓” skill. 1070 – The Creature & Flea Man – This is an Advanced Support Spirit with the “Poison Damage Reduced” skill. It takes up one slot. 1071 – Death – This is an Ace Support Spirit with the “KOs Heal Damage” skill. It takes up two slots. 1072 – Carmilla – This is a Novice Support Spirit with the “Fire/Explosion Resist ↑” skill. It takes up one slot. 1073 – Werewolf – This is an Advanced Support Spirit with the “Dash Attack ↑” skill. It takes up one slot. 1074 – Shaft – This is a Novice Support Spirit with the “Magic Attack ↑” skill. It takes up one slot. 1076 – Soma Cruz – This is a Legend Primary Spirit (Balanced Type) with three slots and the “Giant Killer” skill. Enhanced from Dracula (see my full list of Enhanceable Spirits). 1077 – Dracula (2nd Form) – This is an Ace Support Spirit with the “Unflinching Charged Smashes” skill. It takes up two slots. 1078 – Kid Dracula – This is an Ace Primary Spirit (Grab Type) with two slots and the “Jump ↑” skill. 1079 – Sebastian Tute – This is an Ace Support Spirit with the “Franklin Badge Equipped” skill. It takes up two slots. 1080 – Party Phil – This is an Ace Support Spirit with the “Easier Perfect Shield” skill. It takes up one slot. 1081 – Dark Emperor – This is a Legend Primary Spirit (Shield Type) with three slots and no skills. This Spirit can be Summoned (see my full list of Summonable Spirits). 1082 – Iris Archwell – This is an Advanced Primary Spirit (Grab Type) with one slot and no skills. 1083 – Gold Bone – This is an Advanced Primary Spirit (Attack Type) with two slots and no skills. This Spirit can be Summoned (see my full list of Summonable Spirits). 1084 – Coraline – This is a Novice Support Spirit with the “Boomerang Equipped” skill. It takes up one slot. 1085 – Shinobu – This is a Novice Primary Spirit (Grab Type) with one slot and no skills. 1086 – Crispin – This is a Novice Support Spirit with the “Fire Bar Equipped” skill. It takes up one slot. 1087 – Nico Fire – This is a Novice Support Spirit with the “Impact Run” skill. It takes up one slot. 1088 – Plane – This is an Advanced Support Spirit with the “Strong-Wing Resist” skill. It takes up one slot. 1089 – Monita – This is an Advanced Support Spirit with the “Screen-Flip Immunity” skill. It takes up two slots. This Spirit can be Summoned (see my full list of Summonable Spirits). 1090 – Mii Brawler – This is a Fighter Spirit. 1091 – Mii Swordfighter – This is a Fighter Spirit. 1092 – Mii Gunner – This is a Fighter Spirit. 1093 – Sandbag – This is a Novice Support Spirit with the “Critical-Health Defense ↑” skill. It takes up one slot. 1094 – Smash Ball – This is an Ace Support Spirit with the “Chance of Double Final Smash” skill. It takes up two slots. 1095 – Master Hand – This is an Ace Primary Spirit (Balanced Type) with three slots and no skills. 1096 – Crazy Hand – This is an Ace Primary Spirit (Balanced Type) with three slots and no skills. 1097 – Giga Bowser – This is an Advanced Primary Spirit (Balanced Type) with three slots and the “Fire Attack ↑” skill. 1098 – Galleom – This is an Advanced Primary Spirit (Balanced Type) with three slots and the “Fist Attack ↑” skill. 1099 – Duon – This is an Advanced Primary Spirit (Attack Type) with two slots and no skills. 1100 – Tabuu – This is a Legend Primary Spirit (Balanced Type) with three slots and the “PSI Attack ↑” skill. 1101 – Master Giant – This is an Ace Primary Spirit (Grab Type) with two slots and the “Speed ↓” skill. 1102 – Master Beast – This is an Ace Primary Spirit (Shield Type) with one slot and the “Weight ↑” skill. 1103 – Master Edges – This is an Ace Primary Spirit (Attack Type) with one slot and the “Sword Attack ↑” skill. 1104 – Master Core – This is a Legend Primary Spirit (Balanced Type) with three slots and the “Initial Damage 30%” skill. This Spirit can be Summoned (see my full list of Summonable Spirits). 1105 – Galeem – This is a Legend Primary Spirit (Balanced Type) with no slots and the “Bane of Darkness” skill. 1106 – Dharkon – This is a Legend Primary Spirit (Balanced Type) with no slots and the “Bane of Light” skill. 1107 – Fighting Alloy Team – This is an Advanced Support Spirit with the “Ray Gun Equipped” skill. It takes up one slot. 1108 – Primid – This is a Novice Primary Spirit (Balanced Type) with two slots and no skills. 1109 – Mite – This is a Novice Support Spirit with the “Lightweight” skill. It takes up one slot. 1110 – Bytans – This is a Novice Primary Spirit (Grab Type) with no slots and no skills. 1111 – Roturret – this is a Novice Primary Spirit (Balanced Type) with two slots and no skills. 1112 – Shadow Bug – This is an Advanced Support Spirit with the “Trade-Off Attacks ↑” skill. It takes up one slot. 1113 – Subspace Bomb – This is an Advanced Support Spirit with the “Bomber Equipped” skill. It takes up one slot. 1114 – Ancient Minister – This is an Ace Primary Spirit (Balanced Type) with two slots and no skills. 1115 – Sheriff – This is a Legend Support Spirit with the “Assist Killer” skill. It takes up one slot. This Spirit can be Summoned (see my full list of Summonable Spirits). 1116 – Pitcher & Batter – This is a Novice Support Spirit with the “Beastball Equipped” skill. It takes up one slot. 1117 – Tennis Player – This is a Novice Support Spirit with the “Landing Lag ↓” skill. 1118 – Tamagon – This is a Novice Primary Spirit (Grab Type) with one slot and no skills. 1119 – Devil – This is an Advanced Support Spirit with the “Screen-Flip Immunity” skill. It takes up two slots. 1120 – Urban Champion Fighter – This is a Novice Support Spirit with the “Fist Attack ↑” skill. It takes up one slot. 1121 – Bubbles – This is a Novice Support Spirit with the “Screw Attack Equipped” skill. It takes up two slots. 1122 – Unira – This is a Novice Support Spirit with the “Unira Equipped” skill. It takes up one slot. 1123 – Excitebike – This is an Advanced Support Spirit with the “Move Speed ↑” skill. It takes up one slot. 1124 – Balloon Fighter – This is an Advanced Support Spirit with the “Jump ↑” skill. It takes up one slot. 1125 – Fish – This is an Advanced Primary Spirit (Grab Type) with no slots and the “Electric Weakness” type. 1126 – Mach Rider – This is a Novice Primary Spirit (Shield Type) with one slot and the “Speed ↑” skill. 1127 – Diskun – This is an Ace Support Spirit with the “Zap-Floor Immunity” skill. It takes up two slots. 1128 – Takamaru – This is an Ace Primary Spirit (Attack Type) with two slots and the Sword Attack ↑” skill. 1129 – Volleyball Player – This is a Novice Support Spirit with the “Stamina ↑” skill. It takes up one slot. 1131 – Donbe & Hikari (Shin Onigashima Kouhen) – This is an Ace Primary Spirit (Balanced Type) with three slots and the “Stamina ↑” skill. Enhanced from Donbe & Hikari (see my full list of Enhanceable Spirits). 1132 – Hockey Players – This is a Novice Support Spirit with the “Freezie Equipped” skill. It takes up one slot. 1133 – MONSTER – This is a Novice Support Spirit with the “Braking Ability ↑” skill. It takes up one slot. 1134 – Tank & Infantry – This is an Advanced Support Spirit with the “Super Scope Equipped” skill. It takes up two slots. 1135 – Andy – This is an Advanced Primary Spirit (Grab Type) with three slots and no skills. 1136 – Eagle – This is a Novice Primary Spirit (Attack Type) with one slot and no skills. 1137 – Olaf – This is a Novice Primary Spirit (Shield Type) with one slot and no skills. 1138 – Ayumi Tachibana – This is a Novice Support Spirit with the “Improved Escape” skill. It takes up one slot. 1139 – Goku & Chao – This is a Novice Primary Spirit (Shield Type) with two slots and no skills. 1140 – Sukapon – This is a Legend Primary Spirit (Grab Type) with two slots and the “Throw Power ↑” skill. 1141 – Yakuman Player – This is a Novice Support Spirit with the “Critical-Health Attack ↑” skill. It takes up one slot. 1142 – Commander – This is a Novice Support Spirit with the “Staff Equipped” skill. It takes up one slot. 1144 – Prince of Sablé – This is a Legend Primary Spirit (Shield Type) with three slots and the “Transformation Duration ↑” skill. Enhanced from Frog & Snake (see my full list of Enhanceable Spirits). 1145 – Prince Richard – This is an Ace Primary Spirit (Balanced Type) with three slots and no skills. 1146 – Muddy Mole – This is a Novice Support Spirit with the “Drill Equipped” skill. It takes up one slot. 1147 – Maruhige Shop Owner – This is an Advanced Support Spirit with the “Item Gravitation” skill. It takes up one slot. 1148 – Satoru – This is a Novice Primary Spirit (Grab Type) with three slots and no skills. 1149 – Dr. Wright – This is an Ace Spirit with the “Ore Club Equipped” skill. It takes up three slots. 1150 – ST Falcon – This is a Novice Primary Spirit (Attack Type) with one slot and no skills. 1151 – F-Type – This is a Novice Support Spirit with the “Undamaged Speed ↑” skill. It takes up one slot. 1152 – Tractor Trailer – This is a Novice Support Spirit with the “Braking Ability ↑” skill. It takes up one slot. 1153 – Lip – This is an Ace Support Spirit with the “Lip’s Stick Equipped” skill. It takes up one slot. 1154 – Dion, Max, & Jack – This is a Novice Primary Spirit (Balanced Type) with three slots and no skills. 1155 – Hakkun – This is a Novice Support Spirit with the “Transformation Duration ↑” skill. It takes up one slot. 1156 – Girl from Hajimari no Mori – This is a Novice Support Spirit with the “Super Leaf Equipped” skill. It takes up one slot. 1157 – Harry – This is a Novice Primary Spirit (Shield Type) with one slot and the “Fist Attack ↑” skill. 1158 – Ryota Hayami – This is a Novice Support Spirit with the “Swimmer” skill. It takes up one slot. 1159 – Akari Hayami – This is a Novice Support Spirit with the “Impact Run” skill. It takes up one slot. 1161 – Ray Mk III – This is an Ace Primary Spirit (Grab Type) with three slots and the “Lightweight” skill. Enhanced from Frog & Snake (see my full list of Enhanceable Spirits). 1162 – Flare – This is a Novice Primary Spirit (Balanced Type) with three slots and the “Weight ↓” skill. 1163 – Bayonette – This is a Novice Support Spirit with the “Steel Diver Equipped” skill. It takes up two slots. 1164 – Saki Amamiya – This is an Ace Primary Spirit (Attack Type) with two slots and no skills. 1165 – Isa Jo – This is an Advanced Support Spirit with the “Beam Sword Equipped” skill. It takes up one slot. 1166 – Helirin – This is a Novice Support Spirit with the “Screw Attack Equipped” skill. It takes up two slots. 1167 – Alessandro Inzaghi – This is a Novice Support Spirit with the “Critical-Health Attack ↑” skill. It takes up one slot. 1169 – Isaac (Dark Dawn) – This is a Legend Primary Spirit (Grab Type) with three slots and the “Energy Shot Attack/Resistance ↑” skill. Enhanced from Isaac (see my full list of Enhanceable Spirits). 1170 – Garet – This is a Novice Primary Spirit (Attack Type) with one slot and the “Fire Attack ↑” skill. 1171 – Ivan – This is a Novice Support Spirit with the “Magic Attack ↑” skill. It takes up one slot. 1172 – Mia – This is a Novice Primary Spirit (Shield Type) with two slots and the “Water Attack ↑” skill. 1173 – Felix – This is an Advanced Support Spirit (Balanced Type) with two slots and no skills. 1174 – Jenna – This is an Advanced Support Spirit with the “Shooting Items ↑” skill. It takes up one slot. 1175 – Matthew – This is an Advanced Primary Spirit (Grab Type) with two slots and no skills. 1176 – Magical Vacation Protagonists – This is an Advanced Primary Spirit (Grab Type) with two slots and no skills. 1177 – Putty – This is an Advanced Support Spirit with the “Weapon Resist ↑” skill. It takes up one slot. 1178 – Mokka – This is an Advanced Primary Spirit (Shield Type) with one slot and the “Weight ↑” skill. 1179 – DeMille – This is a Novice Primary Spirit (Balanced Type) with two slots and no skills. 1180 – Tomatrio – This is a Novice Support Spirit with the “Star Rod Equipped” skill. It takes up one slot. 1181 – Starfy – This is an Ace Primary Spirit (Balanced Type) with three slots and the “Weight ↓” skill. This Spirit can be Summoned (see my full list of Summonable Spirits). 1182 – Starly – This is an Advanced Primary Spirit (Balanced Type) with three slots and the “Weight ↓” skill. 1183 – Moe – This is a Novice Primary Spirit (Shield Type) with one slot and no skills. 1184 – Old Man Lobber – This is an Advanced Support Spirit with the “Mr. Saturn Equipped” skill. It takes up one slot. 1185 – Mermaid – This is a Novice Support Spirit with the “Water & Ice Attack ↑” skill. It takes up one slot. 1186 – Mattel – This is a Novice Support Spirit with the “Water/Freezing Resist ↑” skill. It takes up one slot. 1187 – Cupid – This is a Novice Support Spirit with the “Staff Equipped” skill. It takes up one slot. 1188 – Li’l Blue – This is a Novice Support Spirit with the “Fire/Explosion Resist ↑” skill. It takes up one slot. 1189 – Yama – This is a Novice Support Spirit with the “Aura Attack ↑” skill. It takes up one slot. 1190 – Jill & the Drill Dozer – This is an Advanced Support Spirit with the “Bury Immunity” skill. It takes up one slot. This Spirit can be Summoned (see my full list of Summonable Spirits). 1191 – Pocket Football Player – This is an Advanced Support Spirit with the “Shooting Items ↑” skill. It takes up one slot. 1192 – Karate Joe – This is an Ace Primary Spirit (Attack Type) with two slots and the “Fist Attack ↑” skill. 1194 – Wandering Samurai (Rhythm Heaven Fever) – This is an Ace Primary Spirit (Attack Type) with two slots and the “Critical Hit ↑” skill. Enhanced from The Wandering Samurai (see my full list of Enhanceable Spirits). 1195 – Sick Beats Doctor – This is a Novice Support Spirit with the “Critical-Health Defense ↑” skill. It takes up one slot. 1196 – The Chorus Kids – This is an Ace Primary Spirit (Grab Type) with three slots and the “Jump ↓” skill. 1197 – Munchy Monk – This is a Novice Primary Spirit (Shield Type) with one slot and no skills. 1198 – Reporter and Wrestler – This is an Advanced Primary Spirit (Shield Type) with two slots and no skills. 1199 – Baxter and Forthington – This is a Novice Support Spirit with the “Rocket Belt Equipped” skill. It takes up one slot. 1200 – Sumo Brothers – This is a Novice Primary Spirit (Grab Type) with two slots and the “Weight ↑” skill. 1201 – Pig – This is a Novice Support Spirit with the “Improved Escape” skill. It takes up one slot. 1202 – Alexandra Roivas – This is a Novice Primary Spirit (Grab Type) with two slots and no skills. 1203 – Mappo – This is a Novice Primary Spirit (Grab Type) with one slot and the “Throw Power ↑” skill. 1204 – Sagi – This is a Novice Primary Spirit (Balanced Type) with three slots and no skills. 1205 – Milly – This is a Novice Primary Spirit (Balanced Type) with two slots and no skills. 1207 – Super Chibi-Robo – This is an Ace Primary Spirit (Grab Type) with two slots and the “Thrown Items ↑” skill. Enhanced from Chibi Robo (see my full list of Enhanceable Spirits). 1208 – Telly – This is an Advanced Support Spirit with the “Screen-Flip Immunity” skill. It takes up two slots. 1209 – Drake Redcrest – This is a Novice Primary Spirit (Balanced Type) with two slots and the “Weight ↓” skill. 1210 – Chibi-Tot – This is a Novice Primary Spirit (Grab Type) with one slot and the “Weight ↓” skill. 1211 – Barbara the Bat – This is an Ace Primary Spirit (Grab Type) with three slots and no skills. This Spirit can be Summoned (see my full list of Summonable Spirits). 1212 – Ashley Robbins – This is an Advanced Support Spirit with the “Fog Immunity” skill. It takes up two slots. 1213 – Hanenbow – This is an Advanced Support Spirit with the “Jump ↑” skill. It takes up one slot. 1215 – Dr. Kawashima (Concentration Training) – This is a Legend Primary Spirit (Balanced Type) with two slots and the “Unflinching Charged Smashes” skill. Enhanced from Dr. Kawashima (see my full list of Enhanceable Spirits). 1216 – Dr. Lobe – This is an Advanced Support Spirit with the “Mr. Saturn Equipped” skill. It takes up one slot. 1217 – Ouendan – This is an Advanced Support Spirit with the “Critical-Health Stats ↑” skill. It takes up one slot. 1218 – Ouendan Cheerleaders – This is an Advanced Support Spirit with the “Super Launch Star Equipped” skill. It takes up one slot. 1219 – Elite Beat Agents – This is an Advanced Support Spirit with the “Critical-Health Stats ↑” skill. It takes up one slot. 1220 – Elite Beat Divas – This is an Advanced Support Spirit with the “Super Launch Star Equipped” skill. It takes up one slot. 1221 – Satoru Amatsubo – This is a Novice Support Spirit with the “Energy-Shot Attack ↑” skill. It takes up one slot. 1222 – Warrior Mech Gauss – This is a Novice Primary Spirit (Attack Type) with one slot and no skills. 1223 – Kyle Hyde – This is an Advanced Primary Spirit (Shield Type) with two slots and no skills. 1224 – Kurikin – This is a Novice Primary Spirit (Shield Type) with one slot and the “Water Attack ↑” skill. 1225 – Hsien – This is a Novice Support Spirit with the “Aura Resist ↑” skill. It takes up one slot. 1226 – Magkid – This is a Novice Support Spirit with the “Electric Resist ↑” skill. It takes up one slot. 1227 – Aisya – This is a Novice Primary Spirit (Shield Type) with two slots and no skills. 1228 – Num Diddly – This is a Novice Support Spirit with the “Transformation Duration ↑” skill. It takes up one slot. 1229 – Idea – This is a Novice Support Spirit with the “PSI Resist ↑” skill. It takes up one slot. 1230 – Welt – This is an Advanced Primary Spirit (Balanced Type) with three slots and no skills. 1231 – T-Rex – This is an Advanced Primary Spirit (Attack Type) with no slots and the “Weight ↑” skill. 1232 – Nibbles – This is a Novice Primary Spirit (Attack Type) with one slot and no skills. 1233 – Glory of Heracles Hero – This is an Advanced Support Spirit (Shield Type) with one slot and no skills. 1234 – Heracles – This is an Advanced Primary Spirit (Attack Type) with one slot and no skills. 1235 – Chef (Personal Trainer: Cooking) – This is an Advanced Support Spirit with the “Mouthful of Curry” skill. It takes up two slots. 1236 – Shop Assistant – This is an Advanced Support Spirit with the “Super Launch Star Equipped” skill. It takes up one slot. 1237 – Vince – This is an Advanced Support Spirit with the “Battering Items ↑” skill. It takes up one slot. 1238 – Looksley – This is a Novice Support Spirit with the “Magic Resist ↑” skill. It takes up one slot. 1239 – Prince Saruno – This is a Novice Support Spirit with the “Aura Resist ↑” skill. It takes up one slot. 1240 – Mio & Mayu Amakura – This is an Advanced Support Spirit with the “Poison Damage Reduced” skill. It takes up one slot. 1241 – Yuri Kozukata – This is an Ace Support Spirit with the “Slumber Immunity” skill. It takes up one slot. 1243 – Captain Rainbow – This is an Ace Primary Spirit (Balanced Type) with two slots and the “First-Strike Advantage” skill. Enhanced from Nick (see my full list of Enhanceable Spirits). 1244 – Raymond Bryce – This is a Novice Primary Spirit (Shield Type) with three slots and no skills. 1245 – Beetle – This is a Novice Support Spirit with the “Undamaged Speed ↑” skill. It takes up one slot. 1246 – Orville – This is an Advanced Support Spirit (Grab Type) with three slots and the “Magic Attack ↑” skill. 1247 – Frey & Freya – This is an Advanced Primary Spirit (Attack Type) with two slots and the “Sword Attack ↑” skill. 1248 – Ando Kensaku – This is a Novice Support Spirit with the “Electric Resist ↑” skill. It takes up one slot. 1249 – Zip – This is a Novice Support Spirit with the “Hothead Equipped” skill. It takes up two slots. 1250 – Zael – This is an Advanced Support Spirit (Attack Type) with one slot and no skills. 1251 – Calista – This is an Advanced Support Spirit (Grab Type) with three slots and no skills. 1252 – Aeron – This is an Advanced Support Spirit (Grab Type) with two slots and no skills. 1253 – Elena – This is an Advanced Support Spirit with the “Trade-Off Defense ↑” skill. It takes up one slot. 1254 – Toy Poodle – This is an Advanced Support Spirit with the “Stats ↑” after Eating skill. It takes up one slot. 1255 – French Bulldog – This is an Advanced Support Spirit with the “Undamaged Attack ↑” skill. It takes up one slot. 1256 – Labrador Retriever – This is an Advanced Support Spirit with the “Physical Attack ↑” skill. It takes up one slot. 1257 – BlueShark – This is a Novice Support Spirit with the “Steel Diver Equipped” skill. It takes up two slots. 1258 – Mallo – This is an Ace Primary Spirit (Grab Type) with one slot and the “Weight ↑” skill. 1259 – Sakura Samurai – This is an Advanced Primary Spirit (Shield Type) with one slot and the “Weight ↓” skill. 1260 – Nikki – This is an Ace Support Spirit with the “Shield Durability ↑” skill. It takes up one slot. 1261 – Noise – This is a Novice Support Spirit with the “PSI Resist ↑” skill. It takes up one slot. 1262 – Dillon – This is an Ace Primary Spirit (Attack Type) with two slots and the “Speed ↑” skill. This Spirit can be Summoned (see my full list of Summonable Spirits). 1263 – Russ – This is a Novice Support Spirit with the “Rocket Belt Equipped” skill. It takes up one slot. 1264 – Shovel Knight – This is an Ace Primary Spirit (Attack Type) with two slots and no skills. 1265 – Shield Knight – This is an Advanced Support Spirit with the “Weapon Resist ↑” skill. It takes up one slot. 1266 – Plague Knight – This is a Novice Support Spirit with the “Fire & Explosion Attack ↑” skill. It takes up one slot. 1267 – King Knight – This is a Novice Primary Spirit (Shield Type) with one slot and the “Weight ↑” skill. 1268 – Specter Knight – This is an Advanced Primary Spirit (Attack Type) with two slots and no skills. 1269 – Culdra – This is an Ace Support Spirit with the “Poison Immunity” skill. It takes up two slots. 1270 – Goligan – This is an Advanced Support Spirit with the “Weapon Attack ↑” skill. It takes up one slot. 1271 – Allen – This is an Advanced Primary Spirit (Balanced Type) with three slots and no skills. 1272 – Tempo – This is a Novice Primary Spirit (Balanced Type) with two slots and no skills. 1273 – Eddy – This is a Novice Support Spirit with the “Water & Ice Attack ↑” skill. It takes up one slot. 1274 – Kageshina Kurabe – This is a Novice Primary Spirit (Balanced Type) with three slots and no skills. 1275 – Inuji Darumeshi – This is a Novice Support Spirit with the “Beastball Equipped” skill. It takes up one slot. 1276 – Rusty Slugger – This is a Novice Support Spirit with the “Beastball Equipped” skill. It takes up one slot. 1277 – Arcade Bunny – This is an Advanced Support Spirit with the “Strong Throw” skill. It takes up one slot. 1278 – Qbby – This is an Ace Support Spirit with the “Ore Club Equipped” skill. It takes up three slots. 1279 – Henry Fleming – This is a Novice Support Spirit with the “Fire & Explosion ↑” skill. It takes up one slot. 1280 – Tethu – This is an Advanced Primary Spirit (Attack Type) with one slot and no skills. 1281 – Esna – This is an Ace Support Spirit with the “Lava-Floor Immunity” skill. It takes up two slots. 1282 – Musashi – This is a Novice Primary Spirit (Advanced Type) with two slots and no skills. 1283 – Wonder-Red – This is an Advanced Primary Spirit (Grab Type) with one slot and no skills. This Spirit can be Summoned (see my full list of Summonable Spirits). 1284 – Wonder-Blue – This is a Novice Primary Spirit (Attack Type) with one slot and no skills. 1285 – Rayman – This is an Ace Primary Spirit (Balanced Type) with three slots and the “Jump ↑” skill. 1286 – Clip & Snip – This is an Advanced Support Spirit with the “Undamaged Attack ↑” skill. It takes up one slot. 1287 – Spring Man – This is an Ace Primary Spirit (Balanced Type) with three slots and the “Fist Attack ↑” skill. 1288 – Ribbon Girl – This is an Advanced Primary Spirit (Grab Type) with two slots and the “Fist Attack↑” skill. This Spirit can be Summoned (see my full list of Summonable Spirits). 1289 – Min Min – This is an Ace Primary Spirit (Attack Type) with two slots and no skills. 1290 – Twintelle – This is an Advanced Support Spirit with the “Air Defense ↑” skill. It takes up one slot. 1291 – Ninjara – This is an Advanced Support Spirit with the “Move Speed ↑” skill. It takes up one slot. This Spirit can be Summoned (see my full list of Summonable Spirits). 1292 – Boss Galaga – This is an Advanced Support Spirit with the “Bury Immunity” skill. It takes up one slot. This Spirit can be Summoned (see my full list of Summonable Spirits). 1293 – Bomberman – This is an Ace Primary Spirit (Grab Type) with two slots and no skills. 1294 – Akira – This is a Legend Primary Spirit (Attack Type) with three slots and the “Fist Attack ↑” skill. 1295 – Rathalos – This is an Advanced Support Spirit with the “Air Attack ↑” skill. It takes up one slot. 1296 – Shantae – This is an Ace Primary Spirit (Grab Type) with three slots and the “Magic Attack ↑” skill. 1297 – Risky Boots – This is an Advanced Support Spirit with the “Bob-omb Equipped” skill. It takes up one slot. On December 14, 2018, Nintendo added two Spirits for owners of Let’s Go, Pikachu! and Let’s Go, Eevee! These are the Partner Pikachu and Partner Eevee Spirits. 1298 – Partner Pikachu – This is an Ace Support Spirit with the “Undamaged Attack & Speed ↑” skill. It takes up one slot. 1299 – Partner Eevee – This is an Ace Support Spirit with the “Stats ↑↑ after Eating” skill. It takes up two slots. 1300 – Dice Block – This is a Novice Support Spirit with the “Improved Escape” skill. It takes up one slot. 1301 – River Survival – This is an Advanced Support Spirit with the “Falling Immunity” skill. It takes up one slot. 1302 – Golden Dash Mushroom – This is an Ace Support Spirit with the “Giant” skill. It takes up two slots. 1303 – Piranha Plant – This is a Fighter Spirit.